Polo G40 from AutoMuseum at Fashion Outlet exhibition. 24 October 2018. 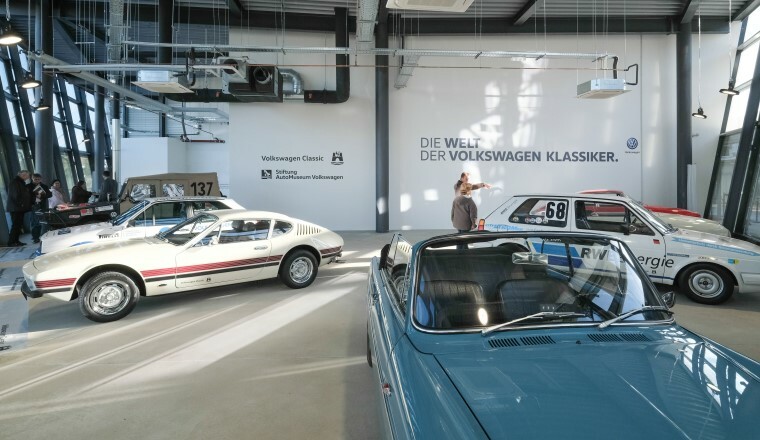 The opening of the third phase of the Wolfsburg Fashion Outlet will also incorporate a showroom for classic Volkswagens. 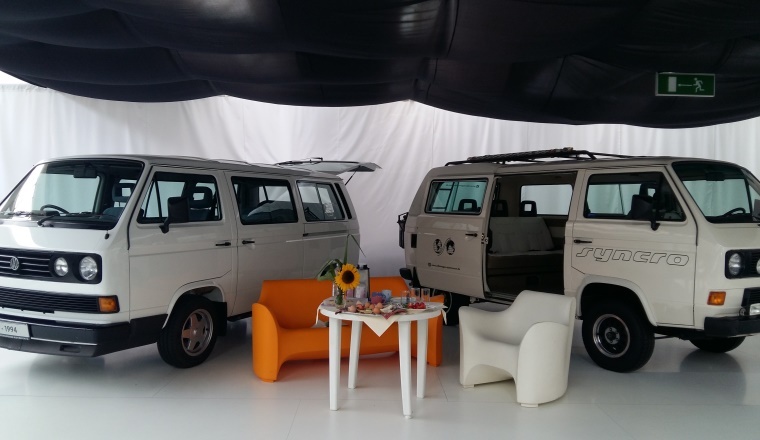 By mid-2019 it will be exhibiting an array of vehicles from Volkswagen's Accessories Lookbook, which in its time provided the graphical selection tool for many manufacturers of merchandising items. 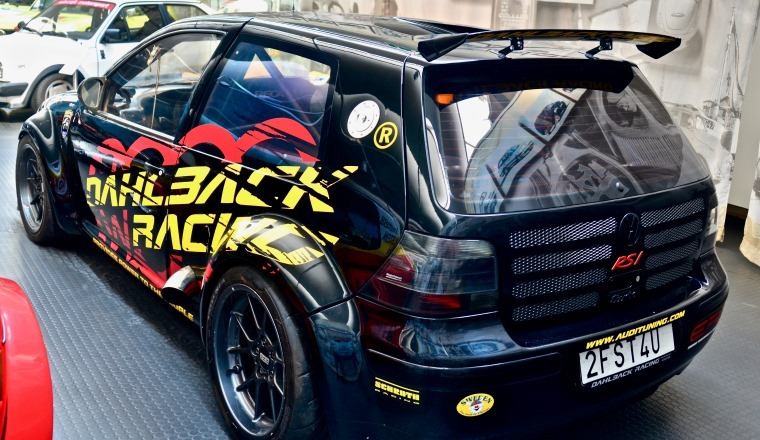 The vehicles include the Polo G40, which once achieved a number of world records at the Ehra-Lessien test track. The quick coupe is one of the highlights of the AutoMuseum's collection. 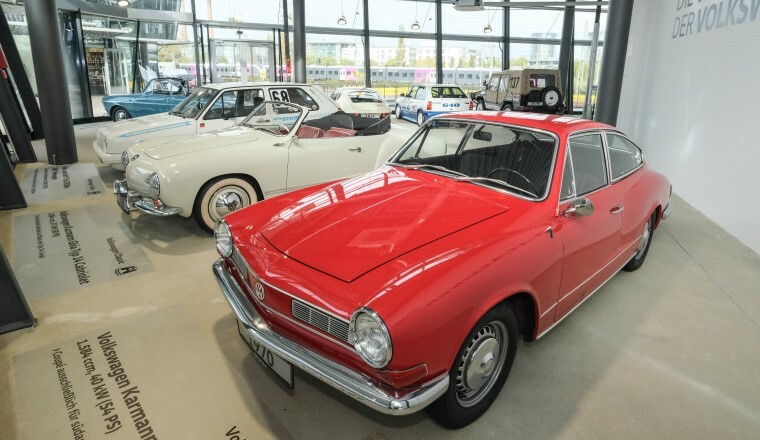 Volkswagen Classic has provided the other exhibits, including exclusive classics from the Karmann collection such as the prototype of the Type 3 convertible and the Brazilian TC 145. 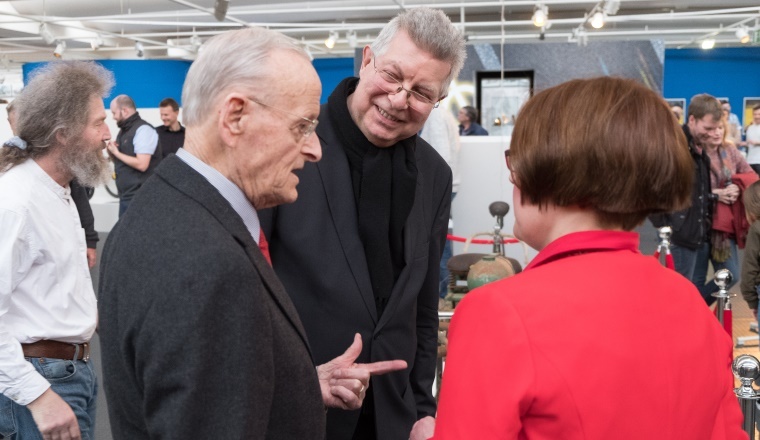 Head of Volkswagen Heritage Dieter Landenberger and museum director Eberhard Kittler are visibly proud of this exhibition. The plan is to run expert guided tours of the pavilion on the Sundays when the shops are open. 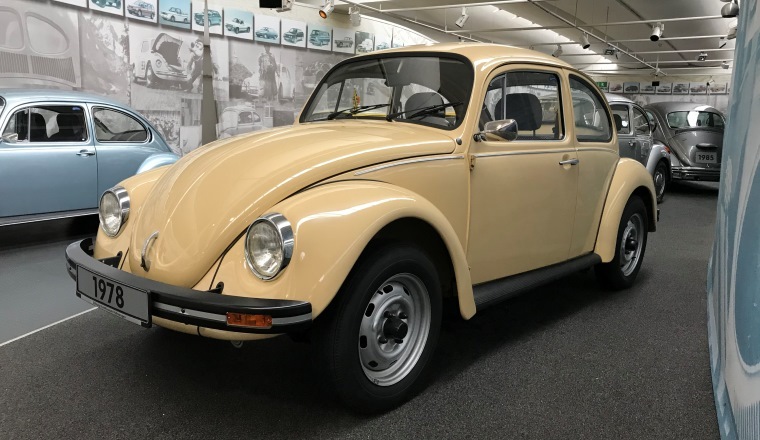 A very special "Birthday Beetle" at the AutoMuseum. 23 October 2018. 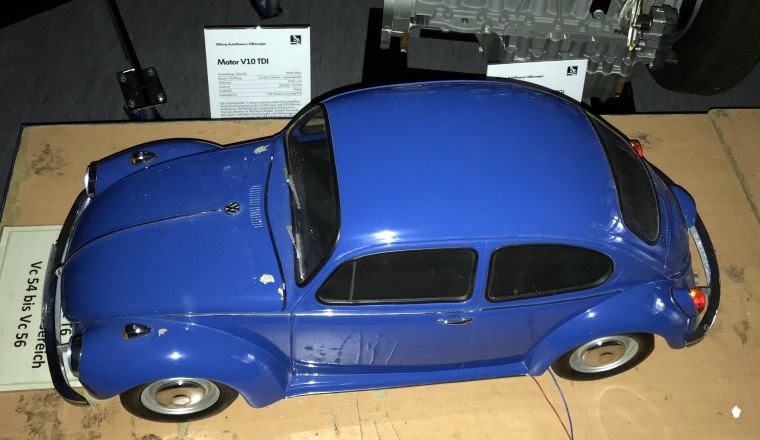 A rare 1:5 scale colour model of the Beetle has been added to the AutoMuseum's collection. The model was gifted to Dr. Karl-Heinz Marten, head of the laboratory in shed 7.0, on the occasion of his 50th birthday in 1976. Features of the model include a custom number plate, working lamps and tail lights, and a bonnet that opens. 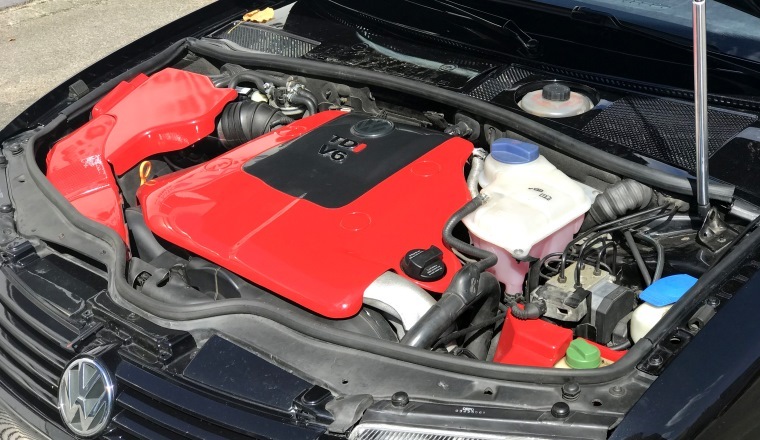 Concealed beneath the bonnet is a set of shot-glasses. This rarity was donated by Dr. Karl-Heinz Marten's son Thomas and his wife Petra. Marten Junior is also a long-standing Volkswagen employee, having previously worked on the installation of the company's in-house industrial robots. Today he works in Technical Development. 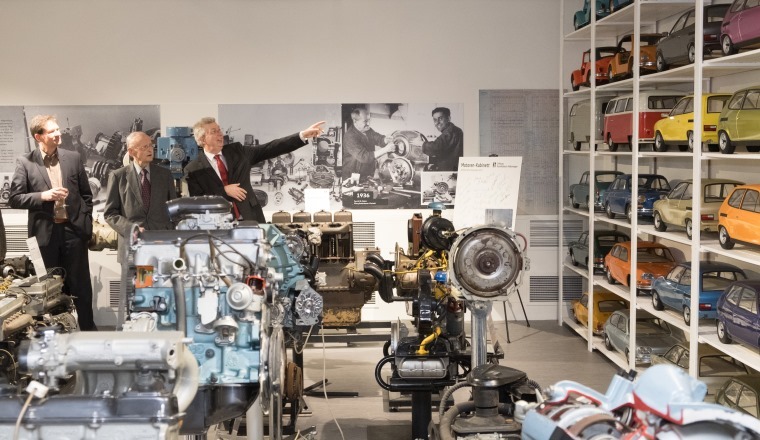 He was responsible for the wiring of the W12 engine – and was delighted to renew his acquaintanceship with that early power unit in the engine exhibition room. In time for the Wörthersee GTI exhibition: 2019 GTI calendar available now. 19 October 2018. 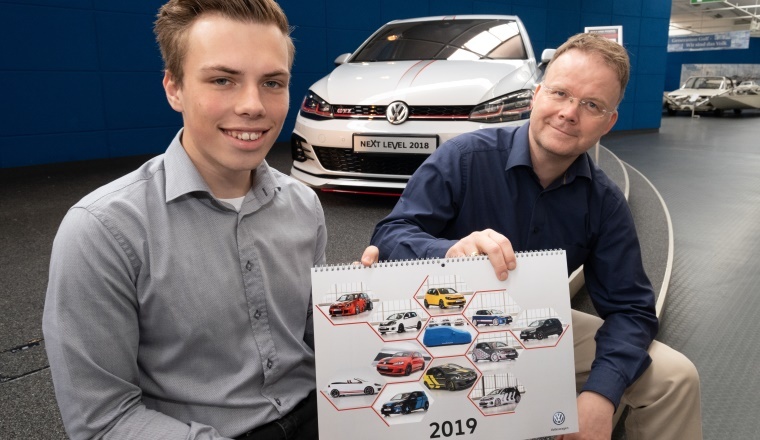 The Volkswagen Academy's 2019 GTI calendar is hot off the presses just in time for the opening of the "Cult and Power" exhibition. This third edition is looking to build on the great success of its two predecessors. 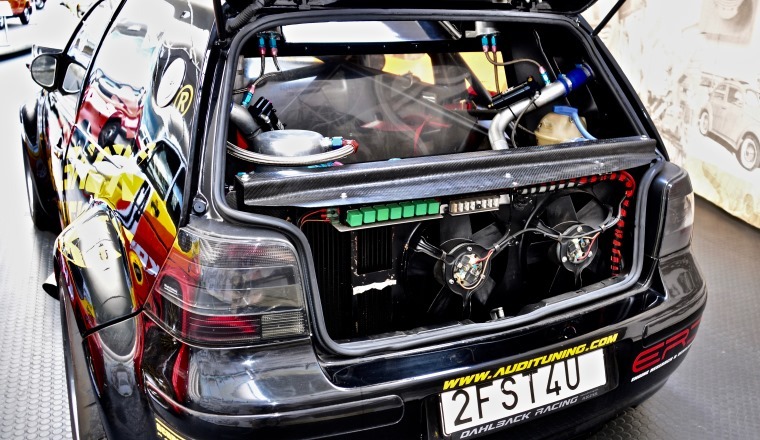 It presents lots of interesting details of the one-off GTI vehicles created in the past 11 years for the Wörthersee meet. It's a must for all GTI fans. But you'll need to be quick: this year's calendar is once again a limited edition. Orders can be emailed to the Volkswagen AutoMuseum at info@automuseum-volkswagen.de. The price is €14.90, plus €7 shipping. Unique: the GTI legends of the Wörthersee on show at the Volkswagen AutoMuseum. 18 October 2018. 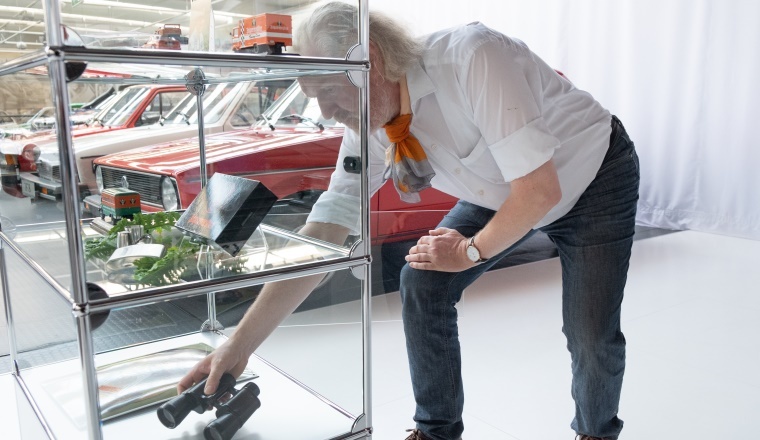 Some 40 Volkswagen AG Wörthersee GTI trainees and their trainers opened the "Cult and Power" special exhibition. 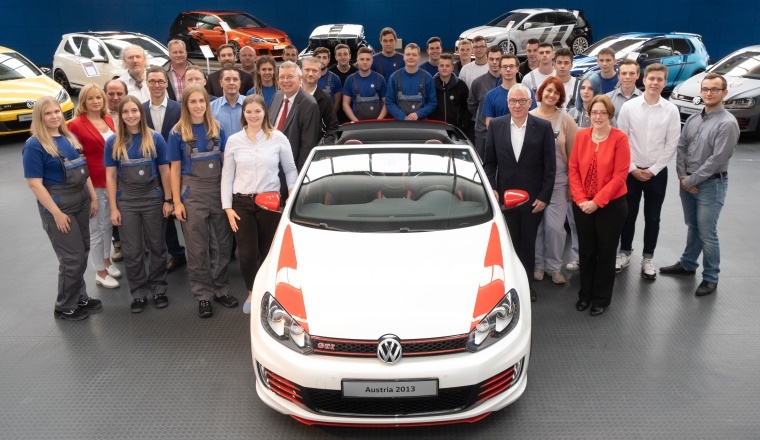 At the media launch, they were all visibly proud of the one-off vehicles that have been created since 2008: 10 in Wolfsburg, partly in cooperation with Sitech, and a convertible in Osnabrück; and this year a twelfth vehicle: a Golf TGI Variant produced as the first contribution by trainees in Zwickau. 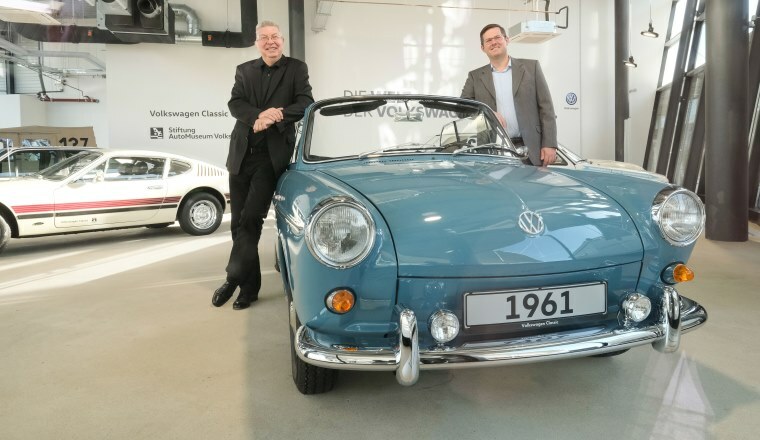 At the launch event, director of the Volkswagen AutoMuseum Foundation Eberhard Kittler expressed his great respect for the accomplishments of the attending trainees. 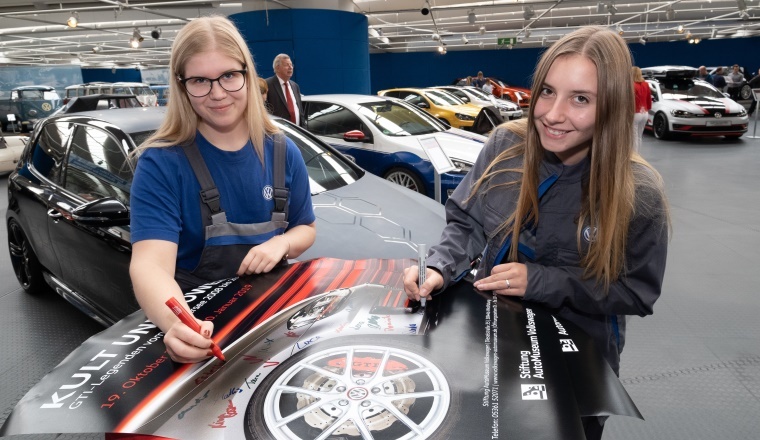 The creativity and practical skills of the young engineers were also praised by Andreas Strutz, Peter Christ and Holger Schülke from the Volkswagen Academy, and Friederike Plock-Girmann from Volkswagen Design. The current model is being premiered at Reifnitz in Austria, where the traditional GTI meet has been held annually since 1982. 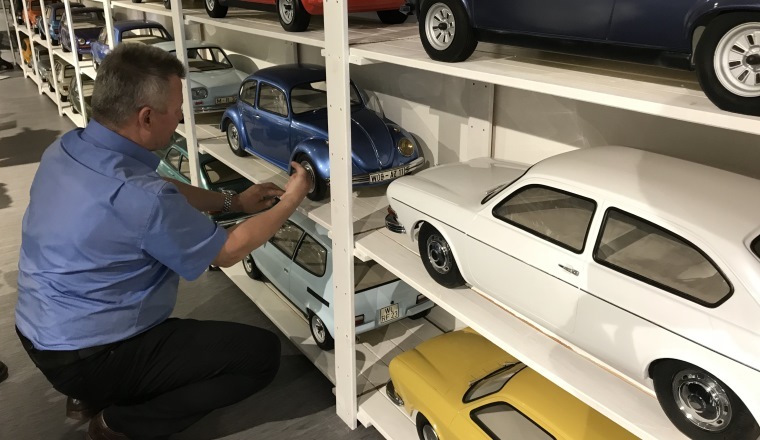 That will once again be the case in 2019 – and we can now reveal that, in addition to the work of the Wolfsburg trainees, there will again be a model from Zwickau on show. 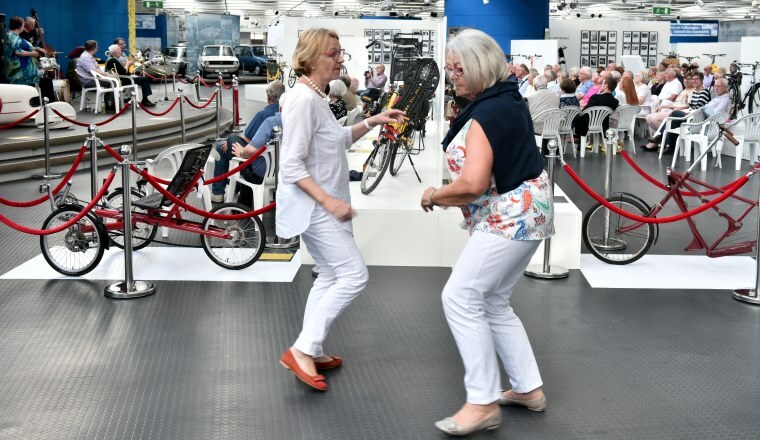 This first joint showing of the exclusive vehicles in the AutoMuseum exhibition spotlights some very interesting features, including an electric powered rear axle, sound systems, and high-end interiors. Painting workshop at the museum. 1 October 2018. 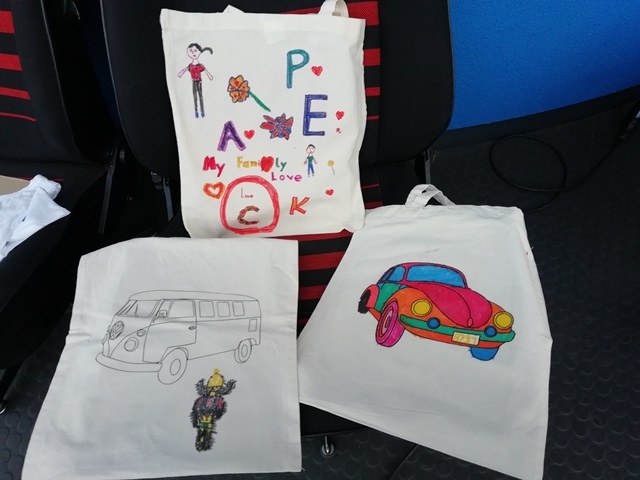 At its Creative Workshop, the AutoMuseum invited six children and teenagers to design Bulli and Beetle motifs on cotton bags. All of them had the opportunity to give their creativity free rein. 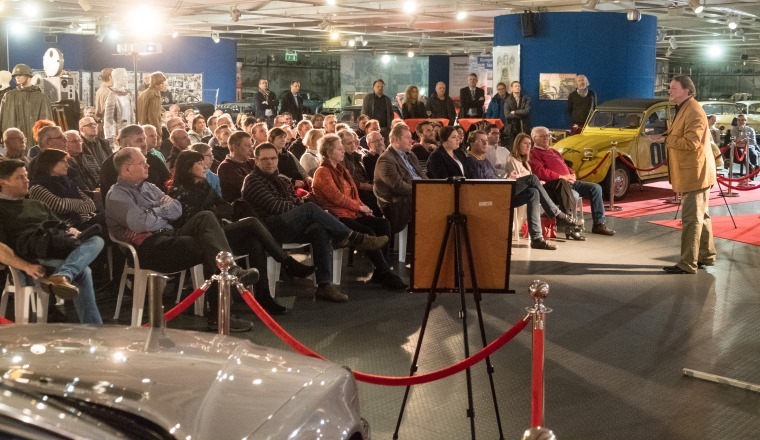 The results were impressive – and the AutoMuseum is thinking of holding more such workshops. 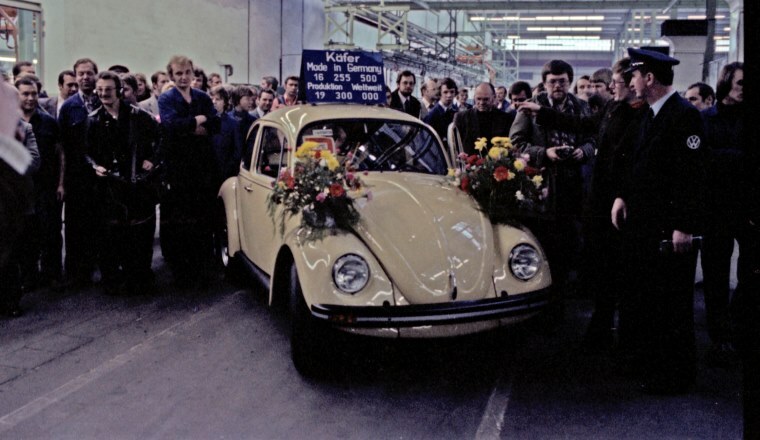 Marking 60 years of the VW plant in Kassel. 25 August 2018. 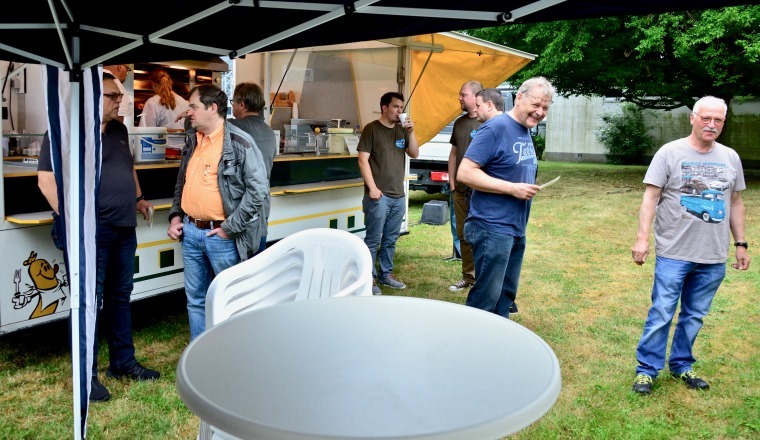 A Family Day was held to celebrate 60 years of the component plant in Kassel-Baunatal. The entire plant was involved in the big party, which included food and music, as well as a wide variety of attractions and interactive features for visitors to enjoy. 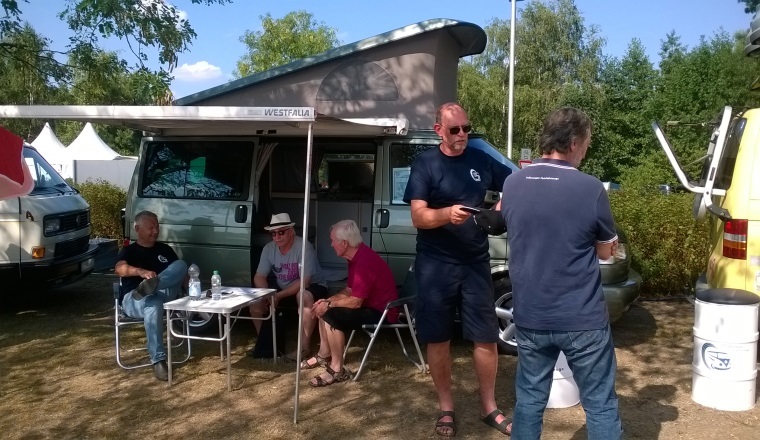 The historic Volkswagen models on show at several locations around the site proved particularly popular. The AutoMuseum contributed three exhibits for the event. 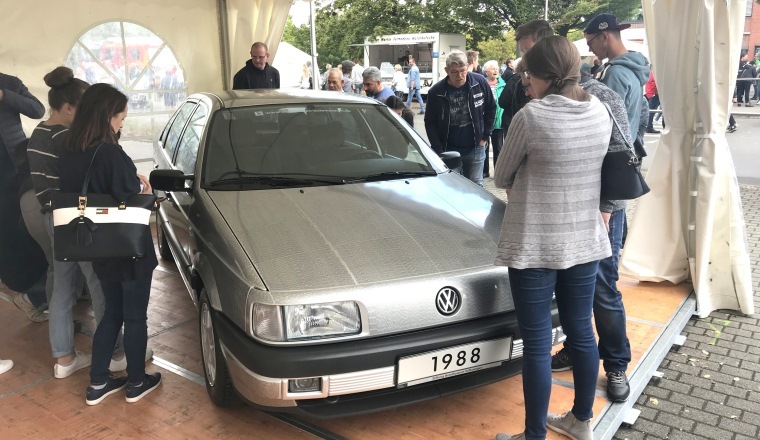 The absolute highlight was the so-called "Names Passat" B3, which was produced in 1988 on the occasion of the 50th anniversary of the town of Wolfsburg and of the Volkswagen factory there, and on which the names of all the factory's employees at the time were printed. 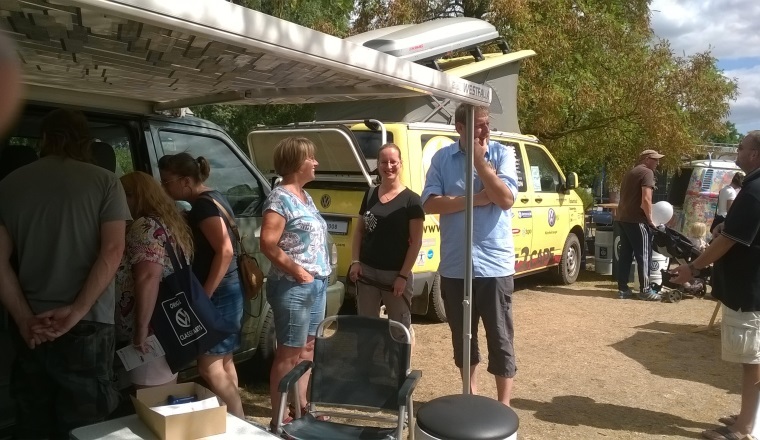 The vehicle was positioned at the main gate, where lots of visitors took the opportunity for a selfie with it. 10 August 2018. 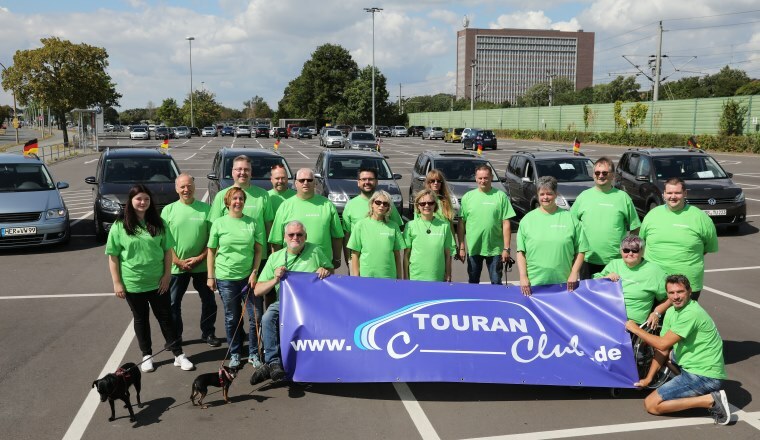 There is now a community for friends of the VW Touran as there is for other models. 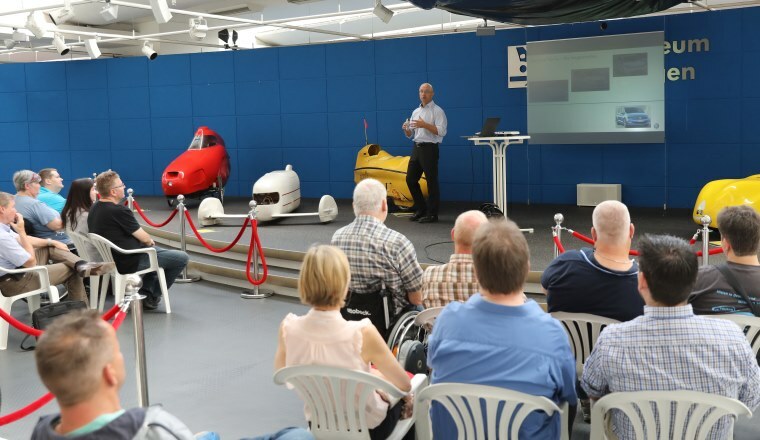 Around a dozen of them came to the AutoMuseum where they were treated to a highly interesting presentation on the creation and role of the Touran by the VW product management team. Launched in 2003, the Touran quickly became the class leader in the minivan segment in Europe, which had previously been dominated by French manufacturers. The second generation appeared on the market in 2015, now based on VW's modular transverse engine mounting kit – and demand remained strong. The Touran has so far been built exclusively in Wolfsburg, but a new production location is being added in China. 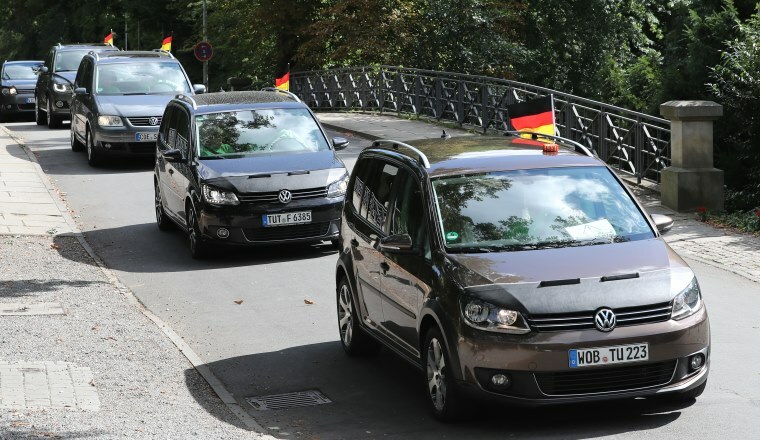 2.3 million units of the Touran have been produced to date. 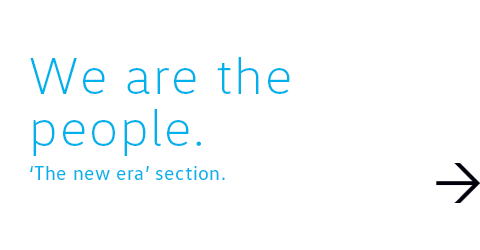 So what is it that the fans of the spacious model particularly love? "That it drives just like a car, and in no way feels like a van," was the comment by one lady visitor. Modified Passat B5 pays a visit. 10 August 2018. 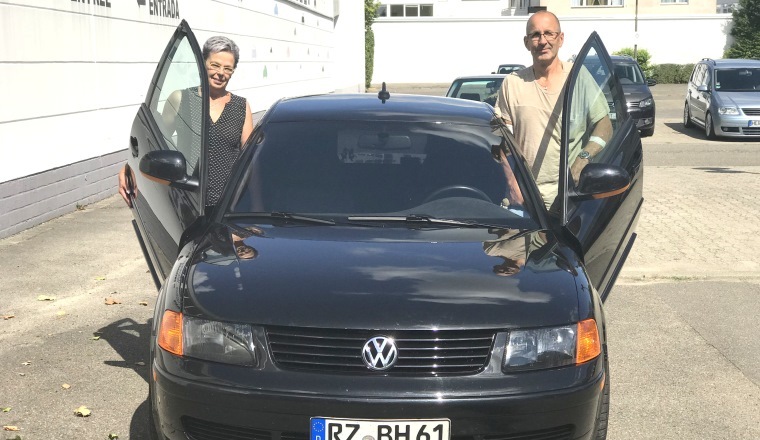 Barbara and Bernd Hamann brought a truly unique vehicle to the AutoMuseum: a 1999 Passat with 300,000 km on the clock, which over a period of years since 2011 has been converted into a top-class pickup – "everything recorded", as the owners proudly asserted. 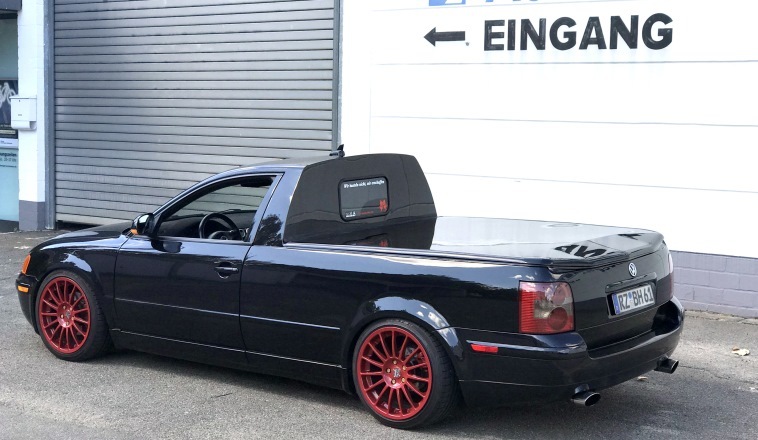 It was based on a 2.5 V6 diesel Variant, fitted with a single cab and flat truck bed. 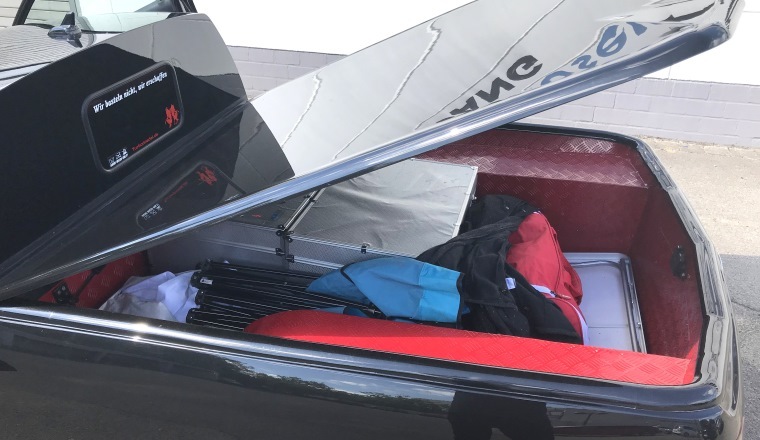 The gas spring mounted aluminium tailgate weighs 26 kg; the scissor doors open exactly up to a height at which the top of the door frames and the open doors are level. 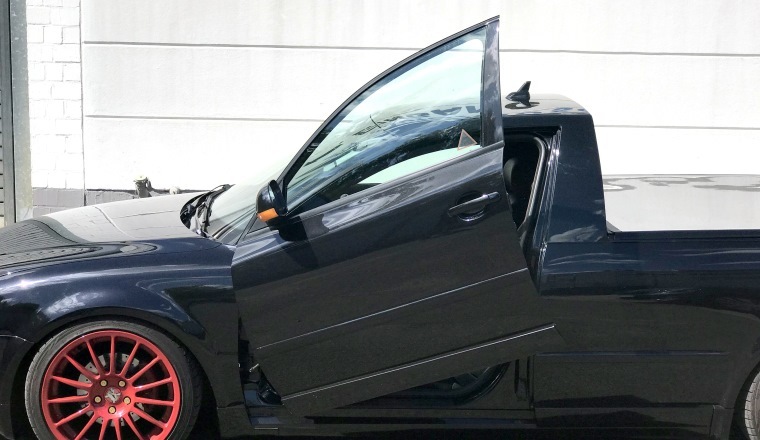 The vehicle is fitted with 18 inch RH wheels, and features a DTS coilover suspension. 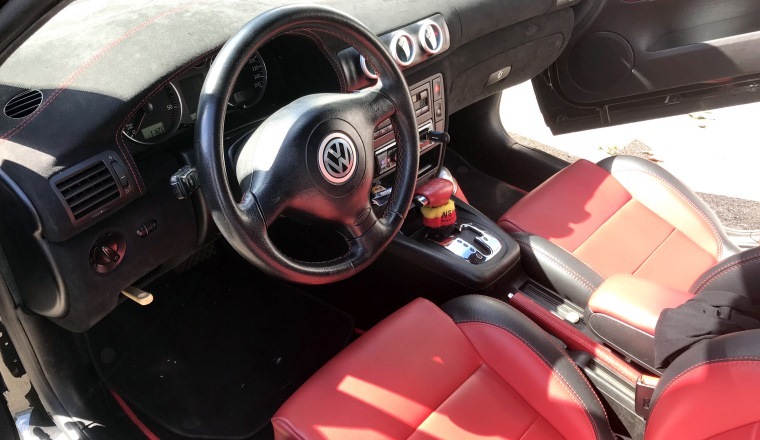 The sports seats are from the Golf; the additional instruments are from Raid. Thanks to moderate chip tuning, the engine now develops 204 hp and 540 Nm of torque, which the standard five-speed automatic transmission is quite capable of handling. A further upgrade to a 3.3 litre V8 diesel from Audi is planned. 3 to 5 August 2018. 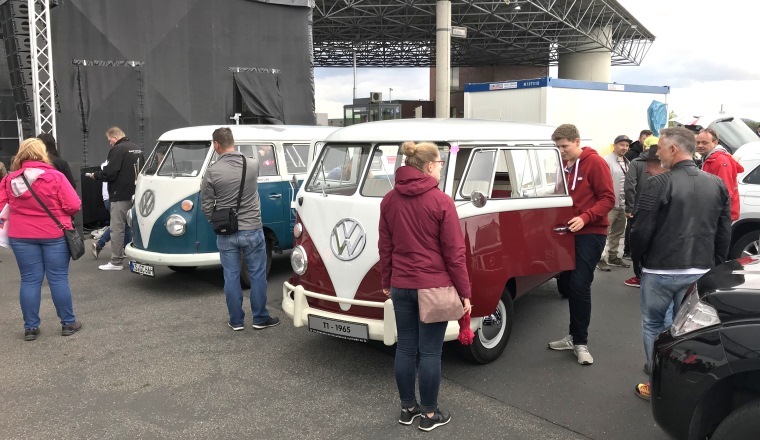 The record temperatures this summer did not put off the hundreds of enthusiasts who came to the Allersee lakeside in Wolfsburg for the Bulli Festival. 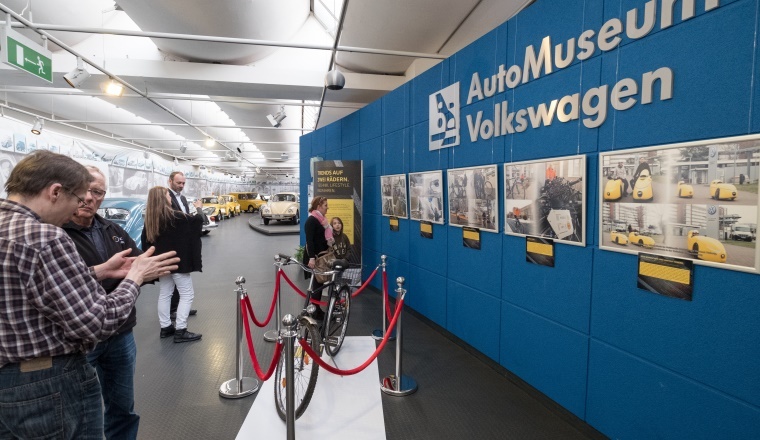 Thanks to an initiative by the Friends of the Volkswagen AutoMuseum, at least 150 festival visitors found their way to the Volkswagen AutoMuseum Foundation. 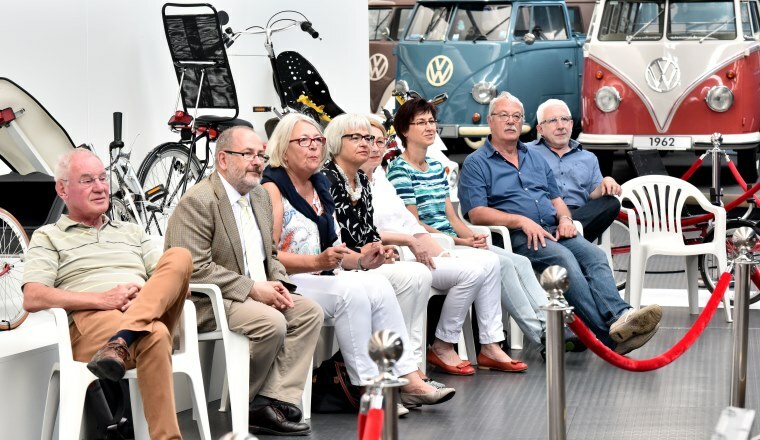 There they were surprised by a small specially themed exhibition featuring the 5-cylinder engined T3 South Africa bus restored by the volunteers and trainees (which was on sale up until 2001) and the 1984-built one-off "Weltenbummler". 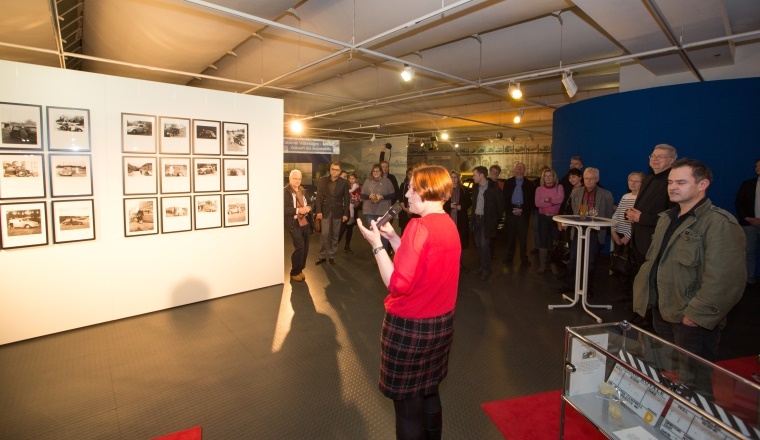 Lothar Brune and Karl-Heinz Forytta hosted the photographic stage, while Günter Wellbrock was the guide around the engine exhibition room. 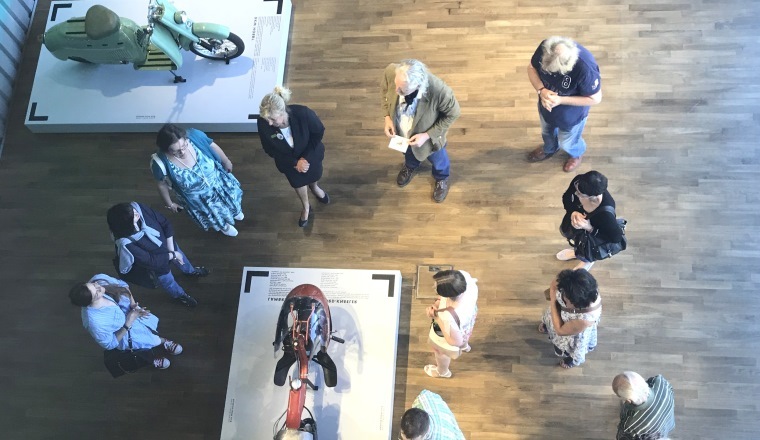 Families with children (including visitors from the UK) swore that they would have loved spending the night in the museum – there could be no greater compliment for Wolfsburg's "treasure trove". Power Golf acquired from Dahlbäck Racing. 9 July 2018. 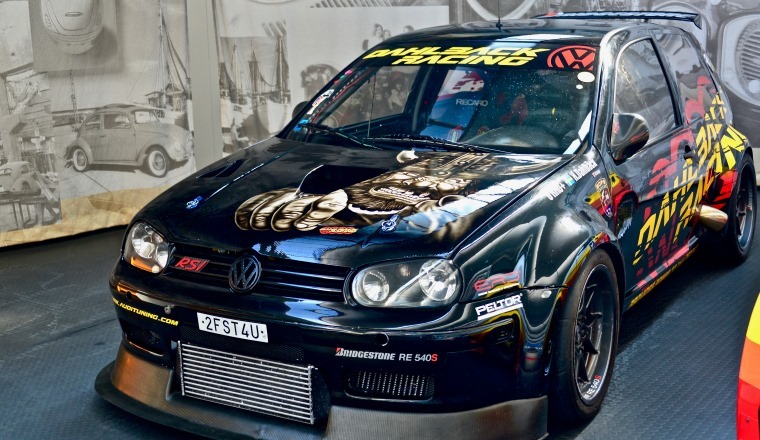 Hans Dahlbäck, head of the renowned Swedish tuning company of the same name who passed away in 2017, generously bequeathed a real rocket of a legacy to the Volkswagen AutoMuseum Foundation: a Sport Golf tuned to superlative performance levels. 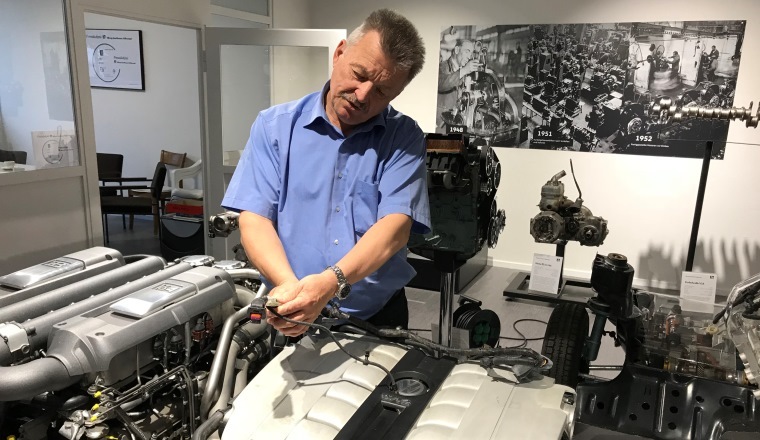 Instead of the original 1.8 litre four-cylinder engine, it is powered by a 2.1 litre five-cylinder unit featuring two big intercoolers from the Audi Quattro S1. 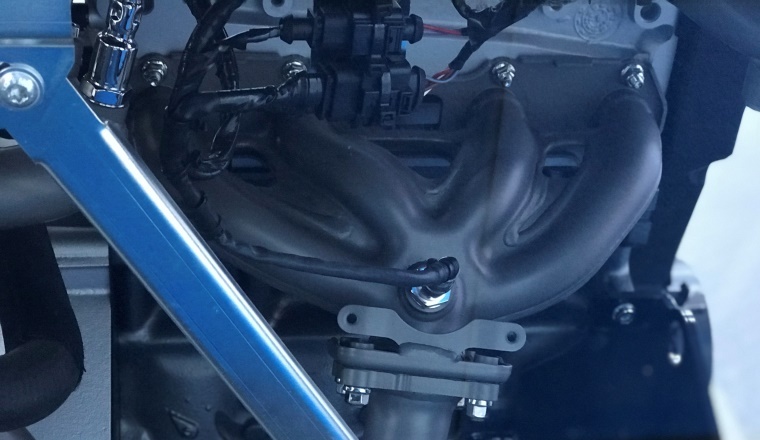 Depending on which turbocharger is used, customers' vehicles can develop between 600 and 900 horsepower – in fact, the first show car even produced 1200 horsepower. The water and oil coolers had to be moved to the rear for space reasons, while a huge air inlet was mounted in the roof. The exhaust pipes are made of 4.5“ stainless steel. And the gearbox comes from the Audi IMSA. Dahlbäck began back in 1998 by completely rebuilding the car, based on a (chrome-molybdenum) space frame. On it he built a Golf type 4 style body, though using lots of carbon, including for the instrument panel, doors, bonnet and spoiler. 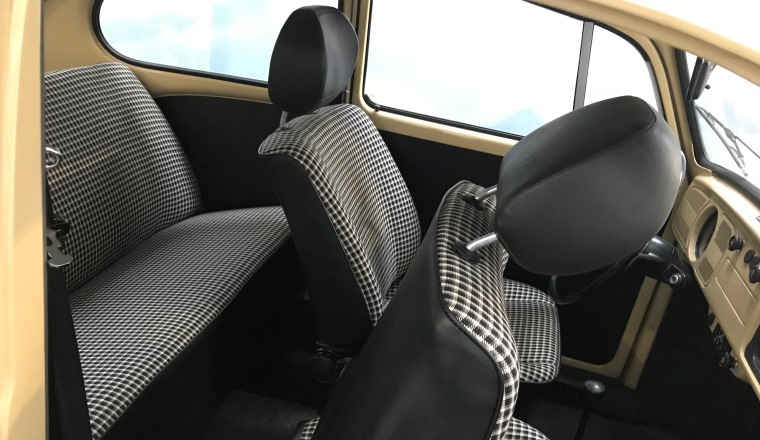 The rear seats were taken out, and Recaros with six-point seat belts were fitted in the front. The glass windows were replaced by lighter plastic elements made of Lexan. The wheel arches originate from VW Motorsport in Hanover. The 10x19" wheels are fitted with 265/30-19 Bridgestone tyres, while there is also an option to fit 12x20" wheels featuring 285/30-20 tyres (also from Bridgestone). The brakes are by Alcon, with 375/385 mm disks. The AutoMuseum's exhibit features 'merely' 265/35 ZR 18 tyres. The rear axle and the shock absorbers are from the Audi RS2 and the Sport Quattro respectively. The Golf's total weight is 1440 kg. The road-legal Golf 4 RSI accelerates from 0 to 100 km/h in just 2.7 seconds, and hits 200 km/h in 7.5 seconds. The claimed top speed of the original show car is an impressive 380 km/h. Audi RS2 und der Sport Quattro. Visit to scooter exhibition at Autostadt. 3 July 2018. Complementing the bicycle exhibition at the AutoMuseum, Autostadt is hosting a highly interesting exhibition of motor scooters at its Zeithaus museum. 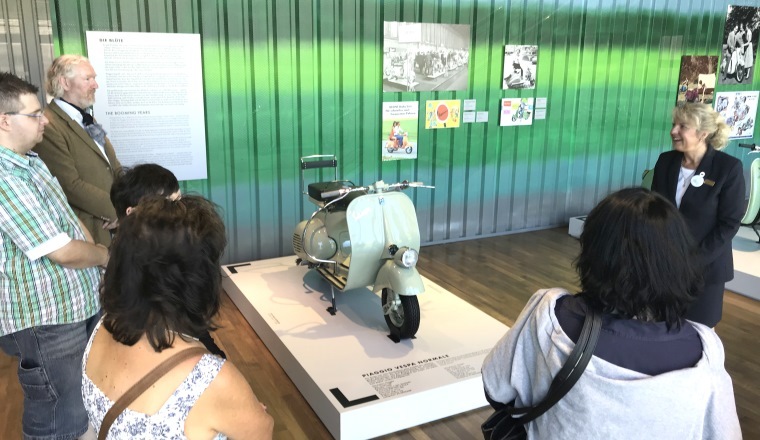 Featuring 17 scooters in total, dating from 1902 to the present, the exhibition will be running through to 15 September 2018. 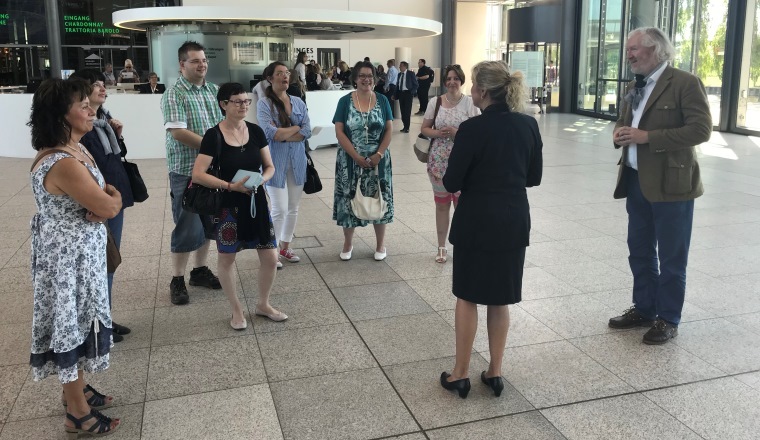 Nine members of staff from the AutoMuseum enjoyed a fascinating tour, guided by Susanne Bienert of Autostadt. Most of the exhibits are on loan from the PS. 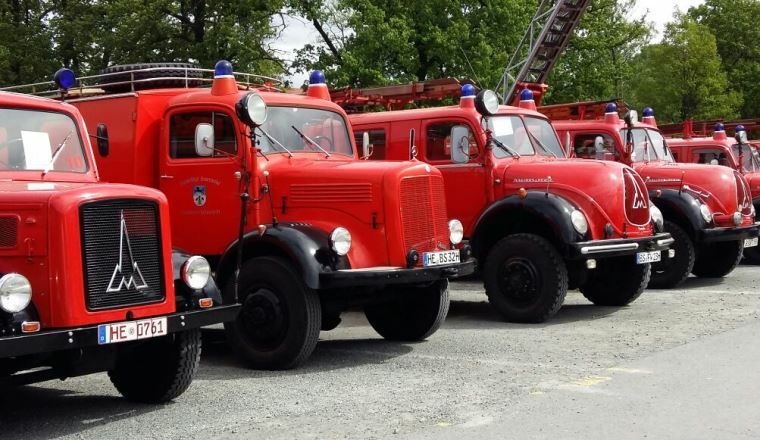 Speicher exhibition and theme park in Einbeck. 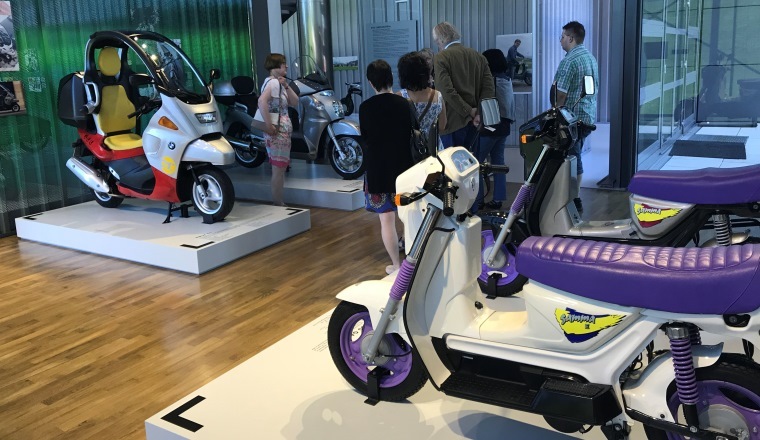 Features of both the exhibitions at Autostadt and the AutoMuseum are electric bikes from Volkswagen – precursors of new trends in the very near future. 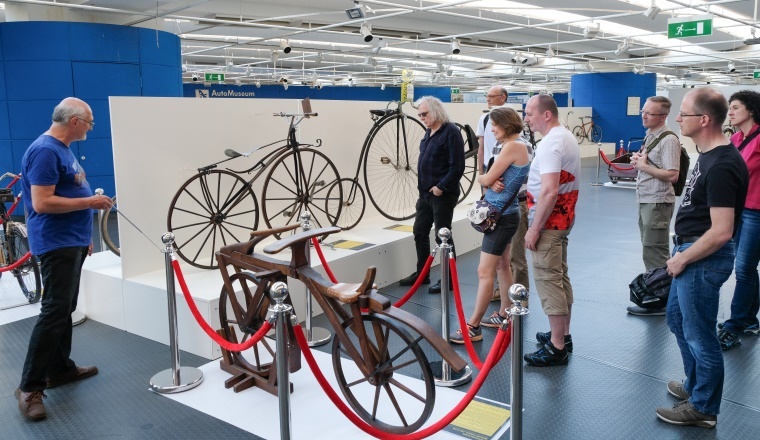 Expert-guided tour of the bicycle exhibition. 30 June 2018. 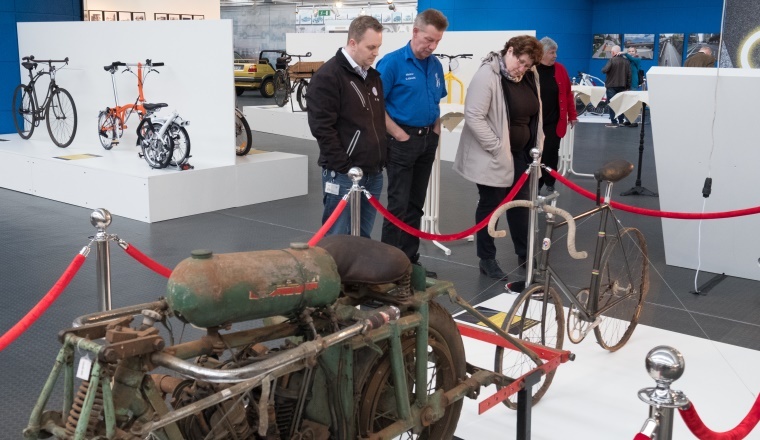 The AutoMuseum recently presented its first ever expert-guided tour of one of its special exhibitions. 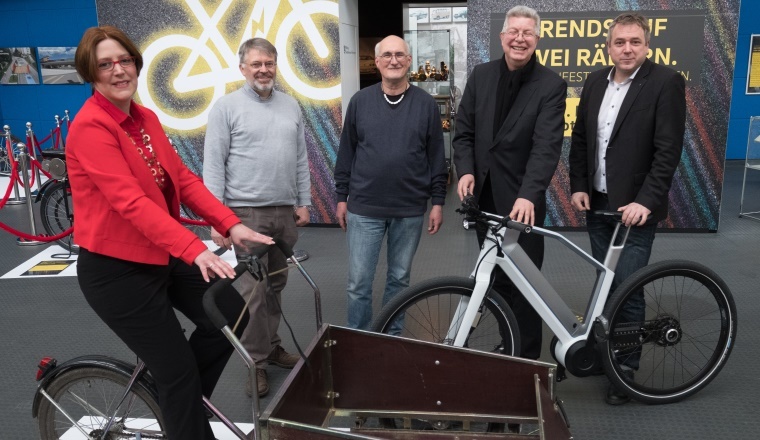 Ingo Kollibay, the very well-connected curator of the bicycle exhibition, was delighted to see so many people taking part. 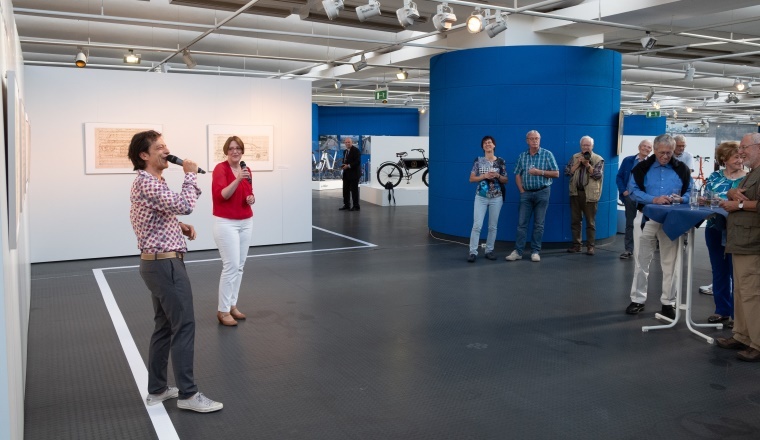 With great enthusiasm and lots of detailed knowledge, he explained to his fascinated audience how Baron von Drais's dandy horse ("Laufmaschine") became the bicycle as we know it today. His talk covered the technological innovations which remain in practical use to this day, as well as a number of creative novelties – some of which did not survive the passage of time (including the cross frame, as an unpatented alternative to the diamond frame). After about an hour and a half, all the key questions had been answered. And all those attending were agreed that their visit to the AutoMuseum had been well worthwhile. Gas-fired cogneration plant exhibit at the AutoMuseum. 28 June 2018. 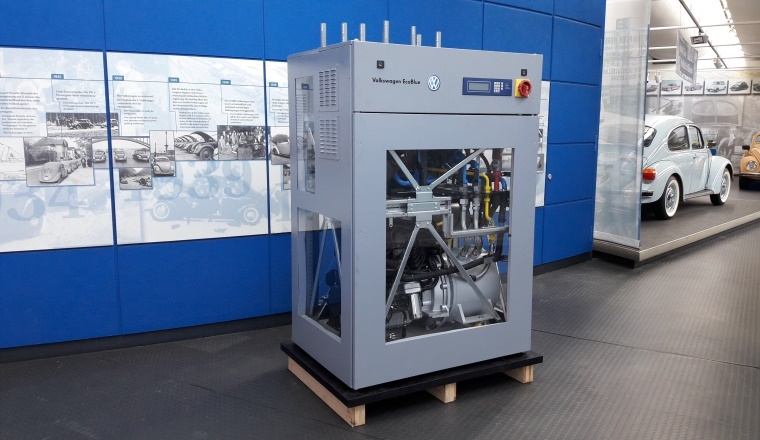 Volkswagen's Industrial Motors Customer Support division has loaned the AutoMuseum an extremely interesting combined heat and power generating machine. 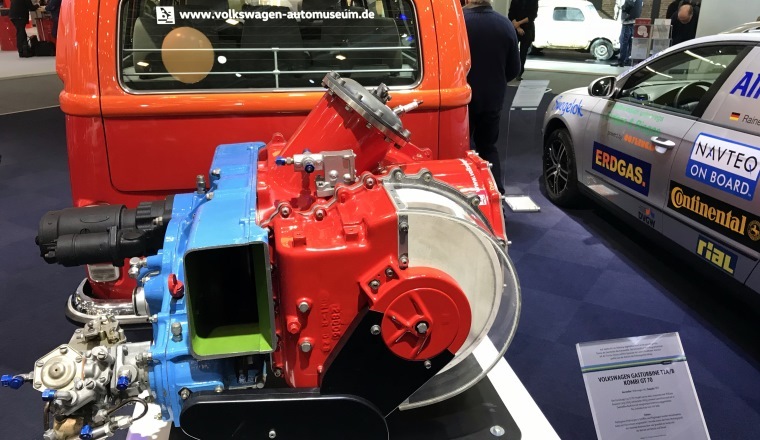 Built in 2011 by the Industrial Motors department at the Salzgitter factory, the 802 kilogram biofuel-fired combined heat and power plant is powered by a 2.0 litre four-cylinder combustion engine from Volkswagen. It generates heat (with a 36.1 kW output) and electric power (developing 19.2 kW net) from liquefied petroleum gas (LPG) with a methane number above 80 and from biogas of the same quality. 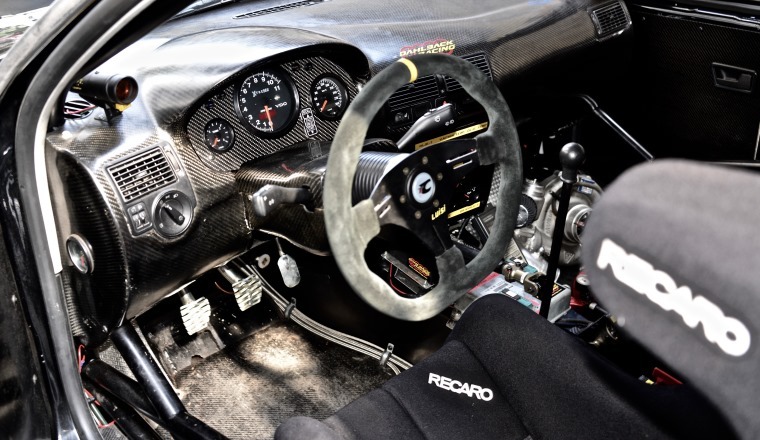 The engine's maximum power output is 1500 rpm. The efficiency of both systems together is a very respectable 94.7 percent. Cogeneration plants of this kind are designed specially to supply both heat and power to multi-occupancy residential buildings looking to source their own independent energy. The unit's compact design (length: 1169 mm, width: 895 mm, height: 1751 mm) means it does not take up a lot of space when installed in a basement. One prerequisite is that the room's air temperature has to be a minimum of 5 degrees Celsius and a maximum of 40. The compact power plant provides hot water for kitchens and bathrooms, heats the apartments in the block, and supplies electric power at a maximum voltage of 400 V and 50 Hertz frequency. The plant is fired by LPG or biogas. 1944 Kuhlmann drafting machine new to the AutoMuseum. 26 June 2018. 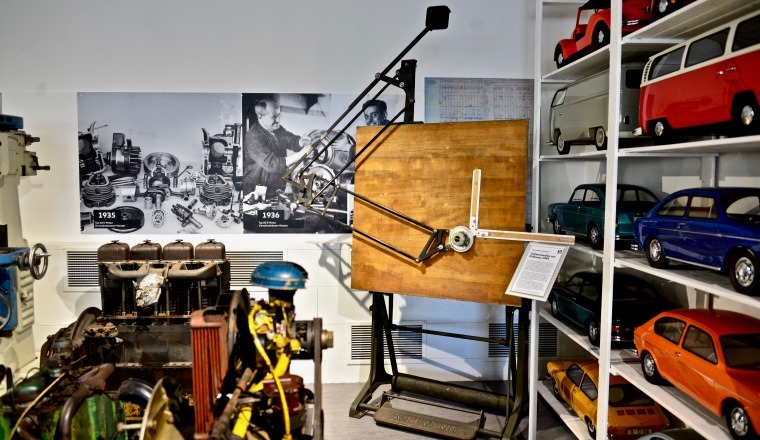 Thanks to the generosity of architect Eberhard Beyer from Wolfenbüttel, the Volkswagen AutoMuseum Foundation's collection has recently been enriched by a genuine rarity: a parallelogram drafting machine with permanently mounted but moveable scales which are held in position by a counterweight and enable the draftsperson to work standing up. Hundreds of technical draftspersons at Volkswagen also made use of the new, patented precision machine from 1938 onwards. The steeply angled boards took up less space than horizontal boards, and delivered a significant boost to productivity. The drafting machine's standard board size was 100 x 150 cm. 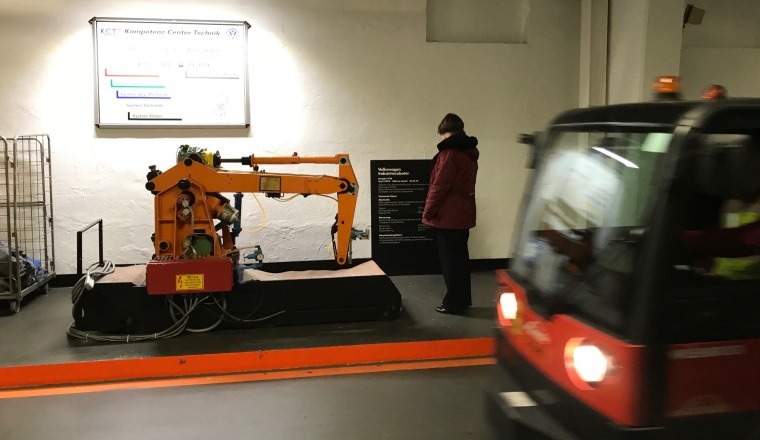 The machine being exhibited bears a sign boasting "Volkswagenwerk, Stadt des KdF-Wagens" (Volkswagen, home of the KdF-Wagen), meaning it was in use before the end of the Second World War (most likely by 1944). The surprisingly heavy machine subsequently provided decades of service before recently being donated to the AutoMuseum and placed in the Motor Showroom. 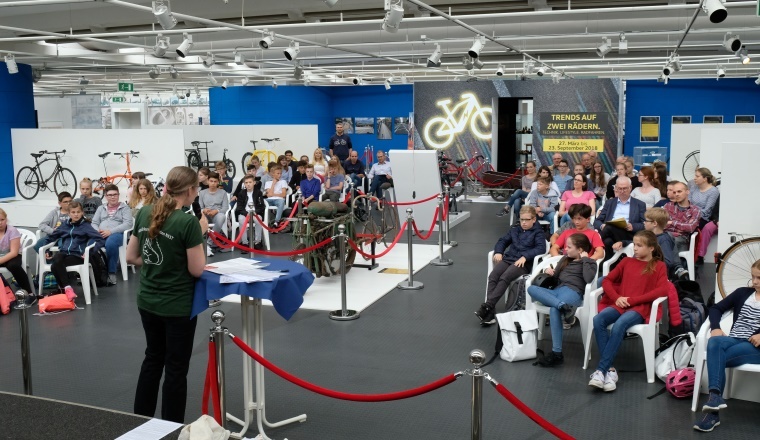 "NEST" honours Wolfsburg's cycling school classes. 25 June 2018. 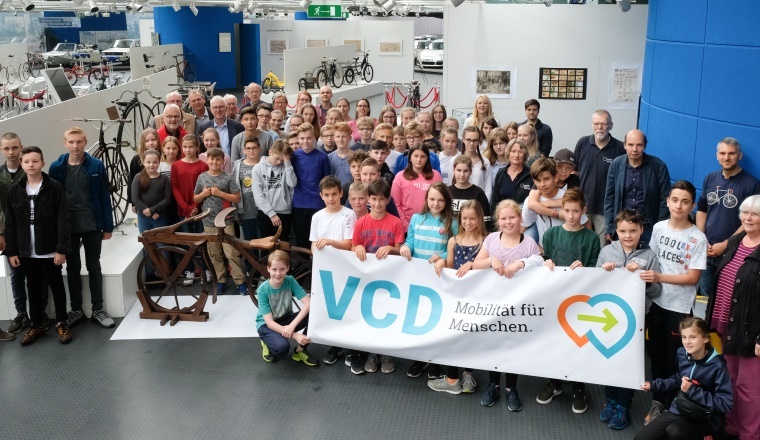 The national competition for schoolchildren "FahrRad – Fürs Klima auf Tour" (Cycling for the good of the climate) run by the German Transport Club (VCD) has been in existence for twelve years. 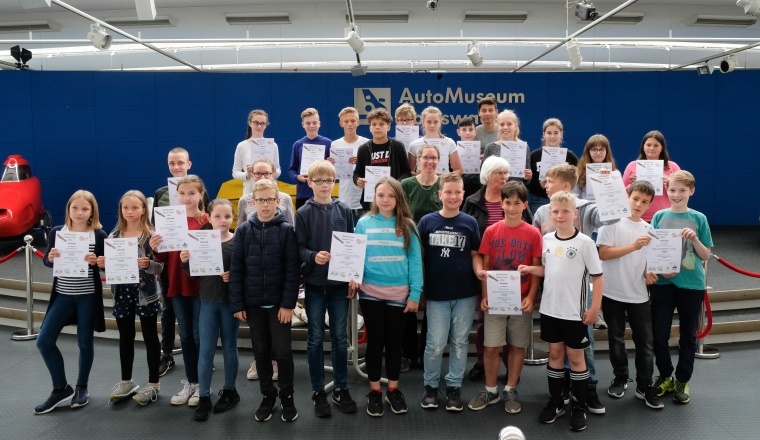 In Wolfsburg, the competition has been expanded by the Nature Research Station "NEST", which once a year honours the participating grade I and II classes from local secondary schools. The children cycle to school or to their leisure-time activities as often as they can in a three-month period. 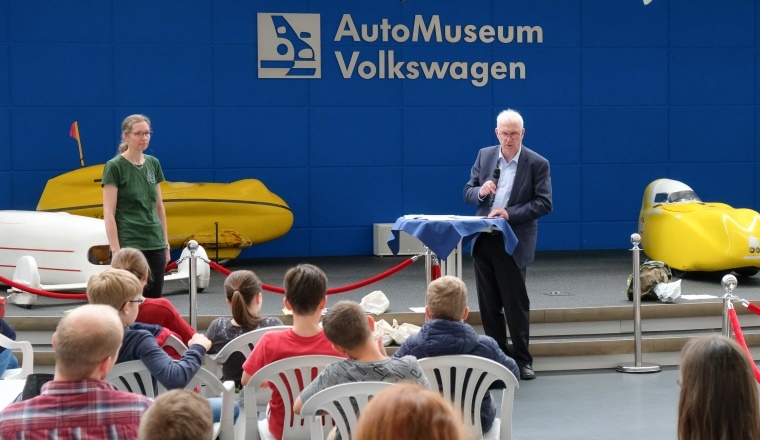 This year the event honouring the participating school classes was for the first time held at the Volkswagen AutoMuseum. 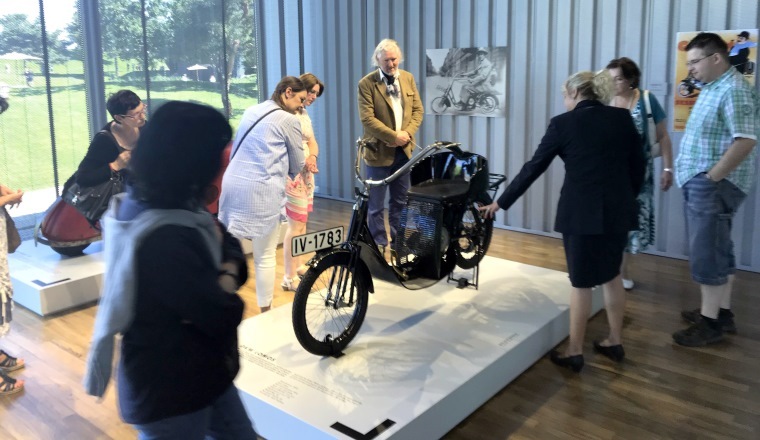 It coincided with the "Trends on two wheels" special exhibition, which the youngsters greatly enjoyed visiting as part of their reward. 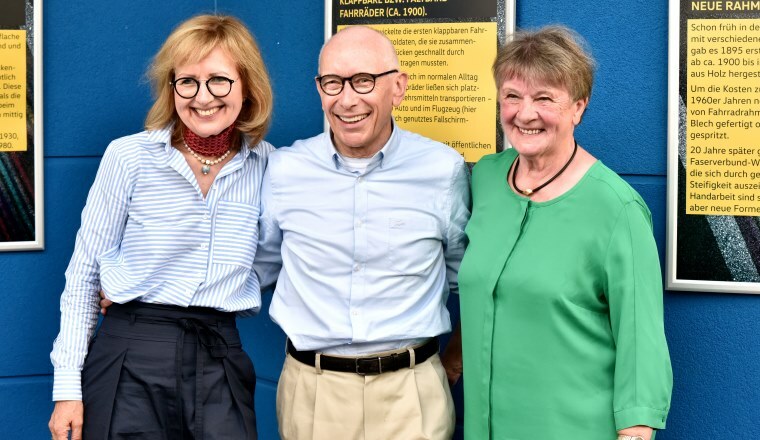 Birgit Dybowski from NEST welcomed the guests, while Wolfsburg council leader Werner Borcherding praised the children for their enthusiasm and commitment. The kilometres ridden by each class are reported to NEST. A total of 42 classes from five Wolfsburg schools took part, cycling 167,473.8 kilometres between them. The winning class alone accounted for 13,575 of those kilometres. All the participating classes were presented with certificates to mark their achievement. As a thank-you there were also lots of prizes to win – for the sake of fairness all awarded by way of a draw. And next year the competition will be starting all over again. 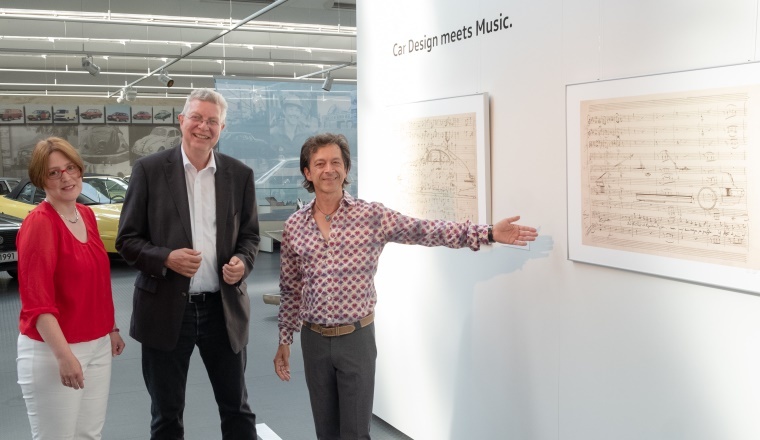 Raughi Ebert opens his very first "Car Design meets Music" art show at the AutoMuseum. 22 June 2018. 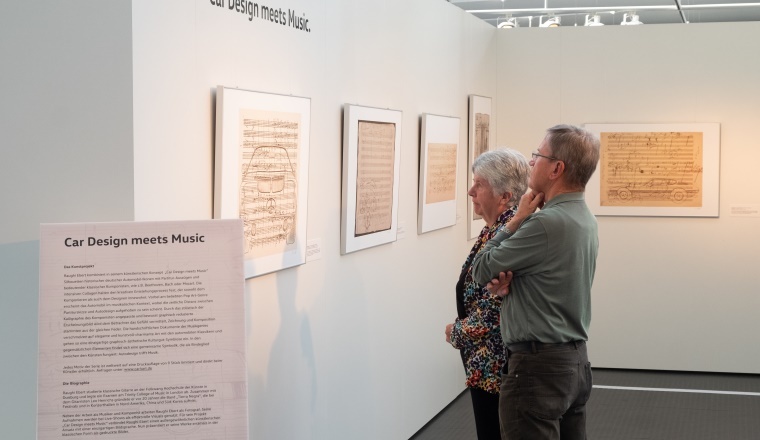 The new art exhibition titled "Car Design meets Music" is a unique symbiosis of automotive design and excerpts from musical scores by leading classical composers including Mozart, Bach and Beethoven. 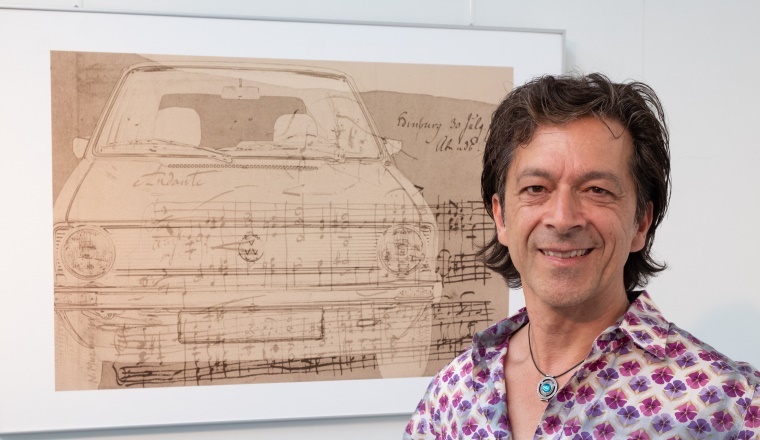 The artist Raughi Ebert has realised his idea in 20 intricate collages, and recently celebrated two premiers in one at the Volkswagen AutoMuseum. 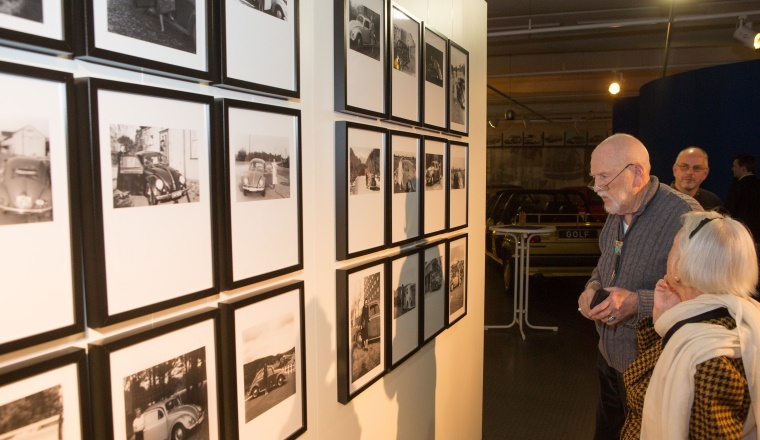 The work being premiered at the AutoMuseum is the first piece of graphic art by the music graduate. He could not have found a more fitting backdrop for it, as he asserted. That impression was shared by the art aficionados who attended the opening. Ebert took great delight in presenting each individual picture to the small group of guests himself. His passion for music – and for stylish automotive icons – was clear for all to see. So it is no wonder that both elements are seamlessly merged in the pictures, as if they had always belonged together. Ebert is looking to pursue his new artistic avenue further. So a follow-up show at the AutoMuseum is perhaps on the cards. Full house for Dixiland band show. 17 June 2018. 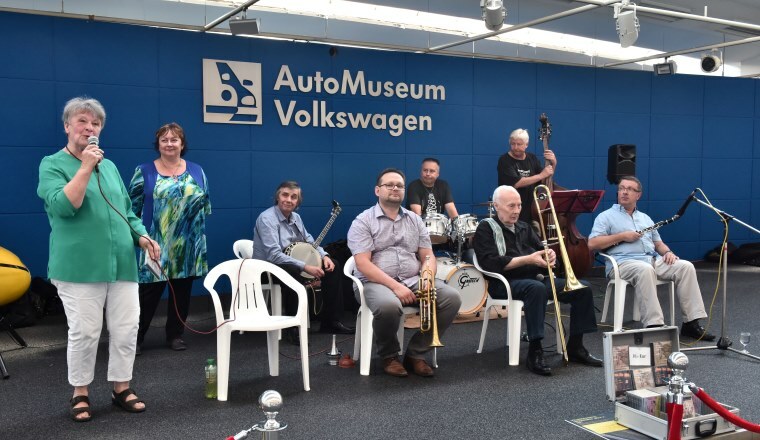 It has become a popular tradition: the board of Prag live e. V. recently hosted the latest of their matinee shows at the Volkswagen AutoMuseum on Dieselstrasse, and the organisation's members attended in their droves. Some 140 guests enjoyed the swinging sounds of classic New Orleans jazz against the backdrop of the bicycle exhibition. The show's stars were the Dixieland Messengers Praha. 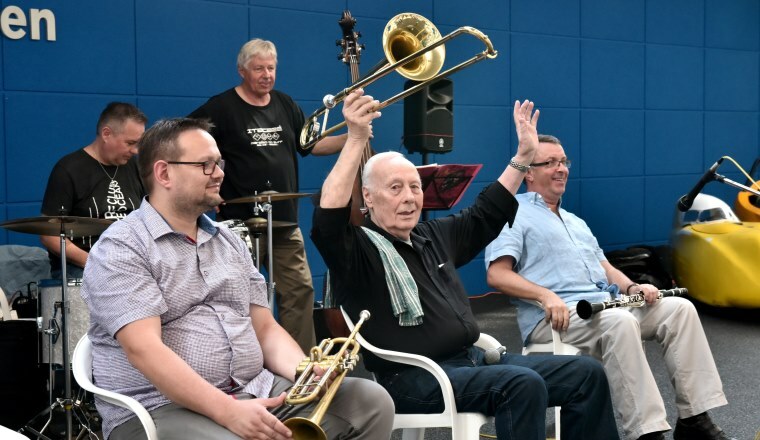 The six musicians – the oldest of them 88 – and their powerful-voiced singer Darja Kuncová had left Prague at half past three in the morning in order to start their AutoMuseum concert punctually at eleven. They performed well-known classics including "Sweet Georgia Brown" and "When the saints go marching in", and their efforts were met with rapturous applause. A representative from the Czech embassy in Berlin, Dr. Milan Coupek, was also in attendance, having travelled to the venue specially to take in the musical highlight. 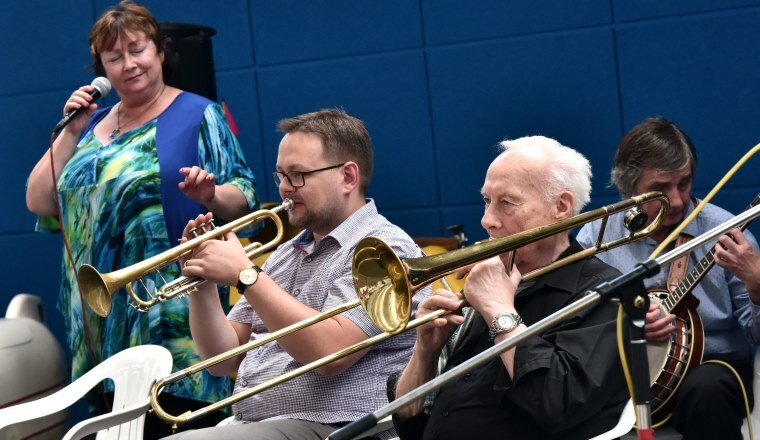 After the concert, the two co-chairs of Prag live e. V., Ines Köhler and Perdita Adrian-Kunze, were delighted by the band's performance and the reception it had enjoyed. To be continued next year…. 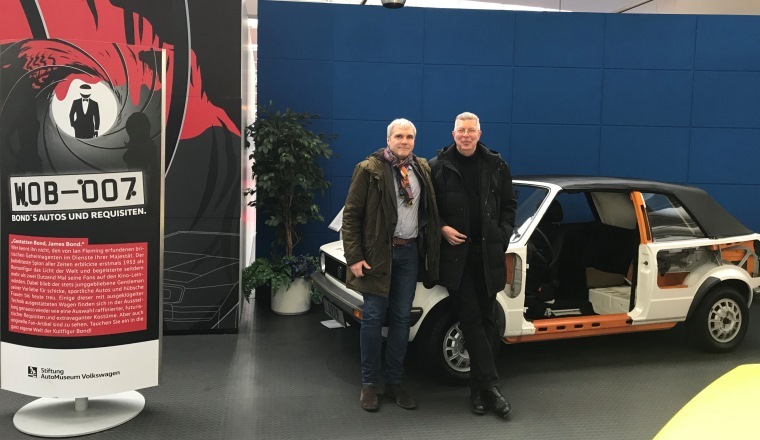 Passat hunting vehicle of Jägermeister boss Günter Mast joins the AutoMuseum. 11 June 2018. 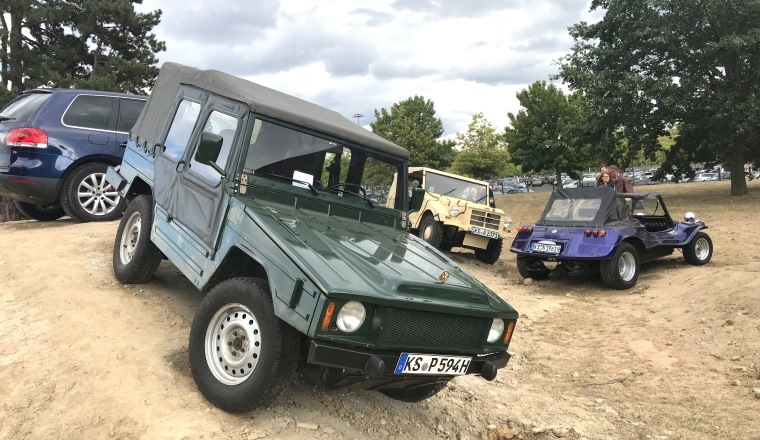 The Volkswagen AutoMuseum has a prestigious new addition to its collection: the last hunting vehicle owned by Günter Mast, former head of the Jägermeister corporation. 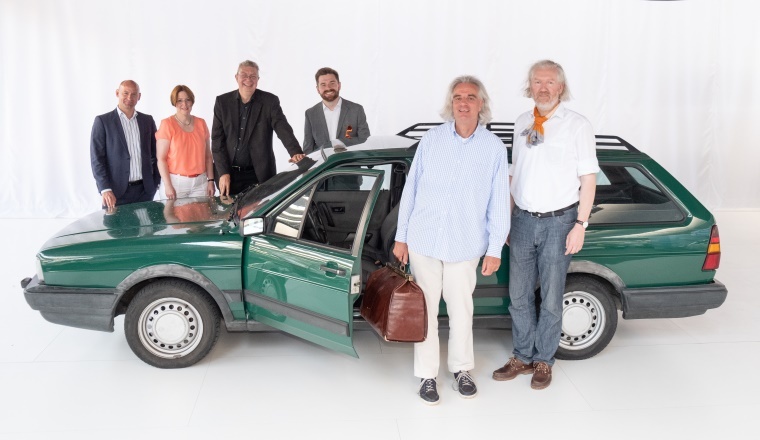 The passionate hunter actually gifted the 1986 2.2 litre Passat syncro to his son Thilo before he died. 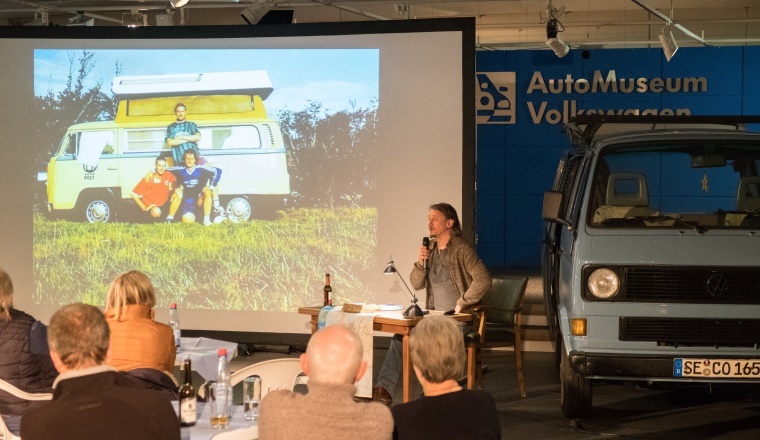 Mast junior recently drove the car to the Volkswagen AutoMuseum from Danzig, where he has for years been running an organic farm business. He is delighted that the vehicle has found a worthy home. 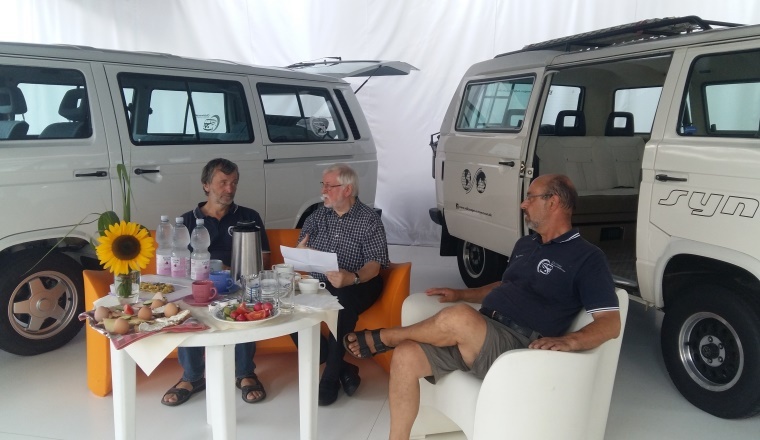 At the handover ceremony, he recounted a number of anecdotes about things that had happened to himself and his father with the Passat hunting vehicle. The Jägermeister corporation was represented by media chief Andreas Lehmann and archivist Florian Eisenblätter. 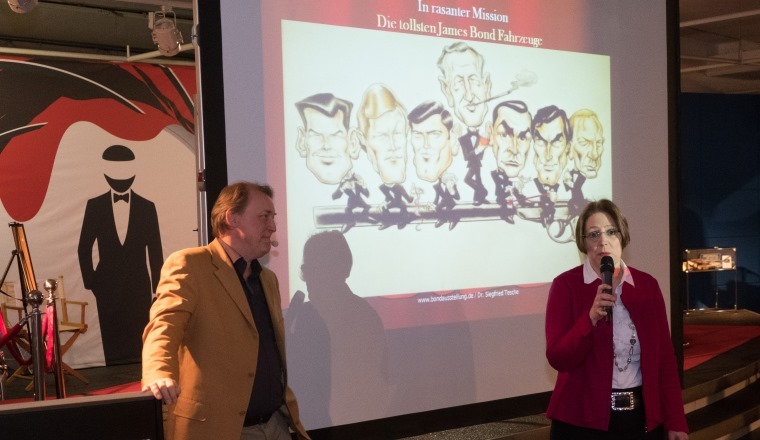 They, along with the other guests in attendance, discovered a wealth of new facts shared by Thilo Mast about the life of his father, the legendary businessman whose Wolfenbüttel-based spirits firm became world-famous brand name. Jägermeister has in its time sponsored a wide variety of different sports, from football to motor racing – and invented the concept of shirt advertising. In the course of his motor sport activities with the orange-liveried cars, he played host to leading names including Formula 1 world champion Graham Hill. For his private hunting use, he initially drove a dark green Type 3 1500 Variant. It was followed by a Passat B1, and then the B2 syncro. A special feature of the estate car was its large seatless rear space, kept free for the game he had shot and for his dogs. 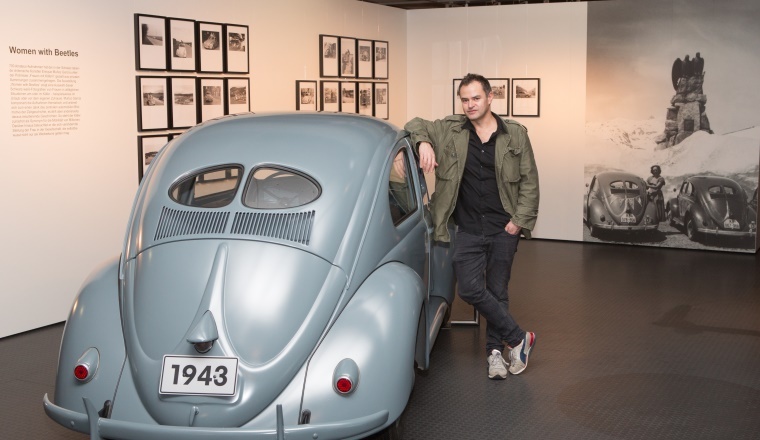 The car exhibited at the Volkswagen AutoMuseum commemorates a businessman of vision, whose activities enhanced the attractiveness of the region. 7 June 2018. 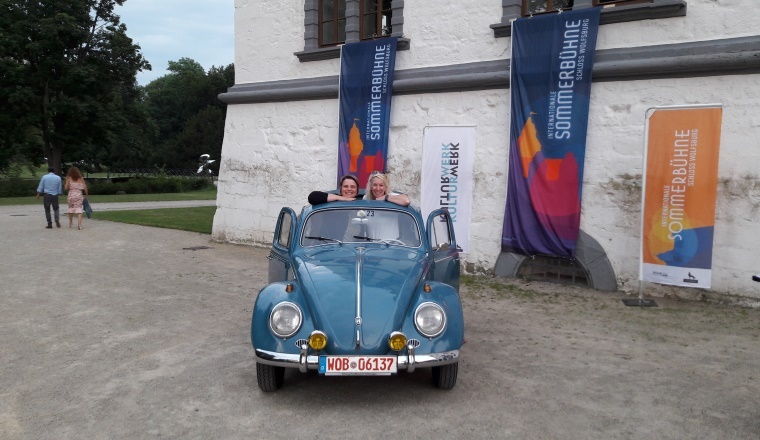 The guests attending the launch of the International Summer Concerts season in Schloss Wolfsburg were welcomed this year by Charlotte, the last Beetle owned by the Nordhoff family. Attendees were thrilled to have their pictures taken with the "old lady" against the backdrop of the historic edifice. Thanks to a Polaroid camera, the guests were able to take away a pictorial souvenir of an unforgettable evening. Andrea Claus and her friend loved the occasion, as is clearly shown by their beaming smiles. 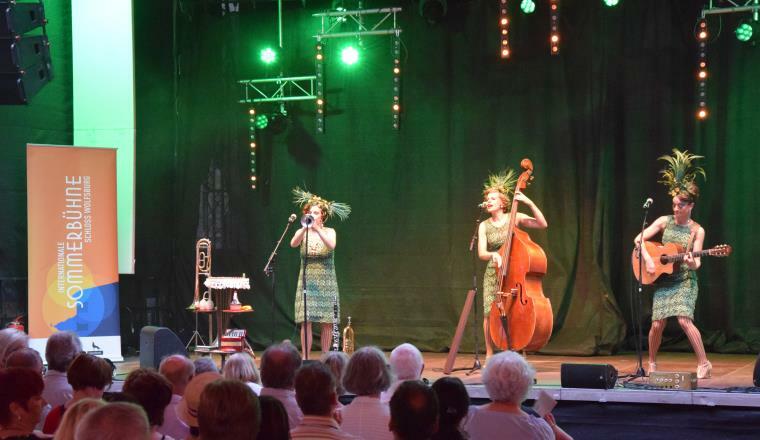 The season was launched by the Zucchini-Sistaz, whose swing songs were quite in keeping with Charlotte's style, so she was on hand to delight guests on the first official performance day too. 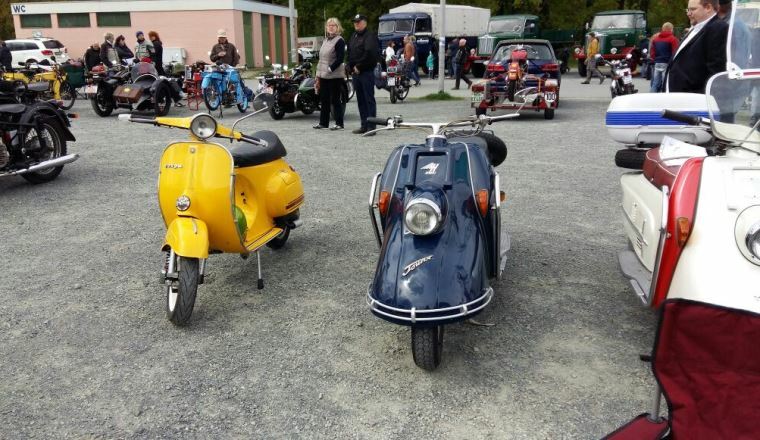 Two AutoMuseum Beetles on the Harz-Heide Run. 3 June 2018. 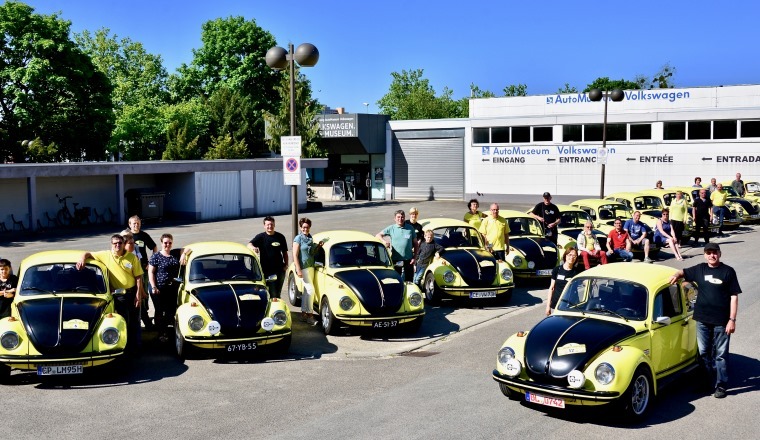 AutoMuseum staff showed the flag on the 16th Harz-Heide Run with the private Beetle owned by the Nordhoff family (1960) and the original ten millionth Beetle - a 1300 dating from 1965. 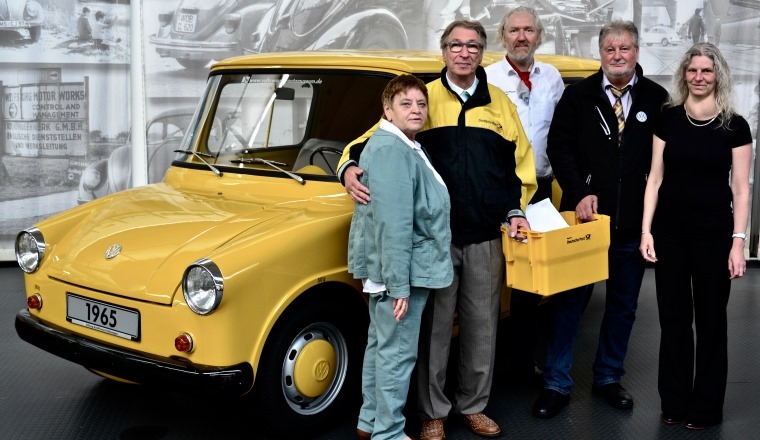 Susanne and Bernd Wiersch, Eckberth von Witzleben and Eberhard Kittler ensured that the field of almost 150 classic cars was enhanced by the two Volkswagen treasures. 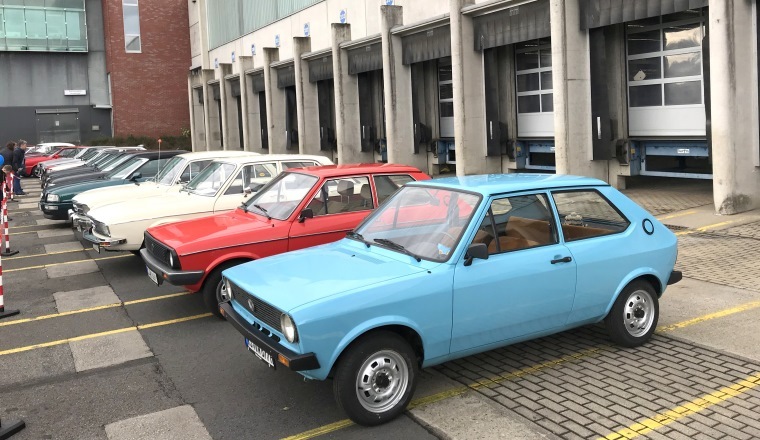 The other participants included precious models including a Porsche RS 61, a Reliant Scimitar, a Delahaye 148L, a Gutbrod Superior and a VW Sciwago (an Artz modification of a Scirocco). 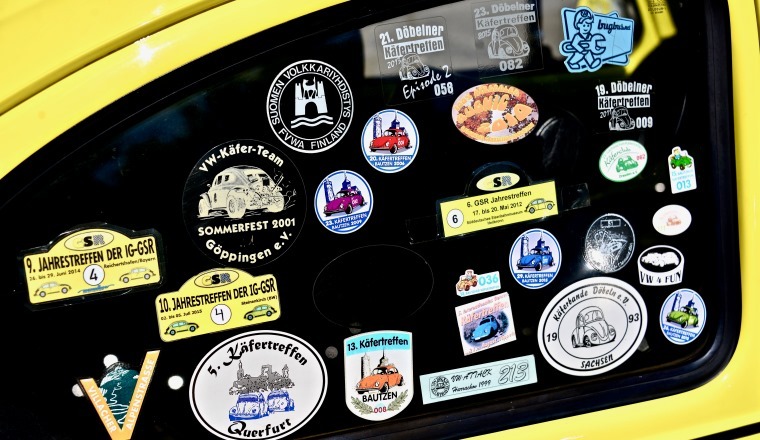 Organised by the ASOC Harz/Heide within the ADAC, this one-day run has long been a cult event. The route passed through the foothills of the Harz mountains to the monastery of Wöltingerode, over the Elm and back to the start in Braunschweig. 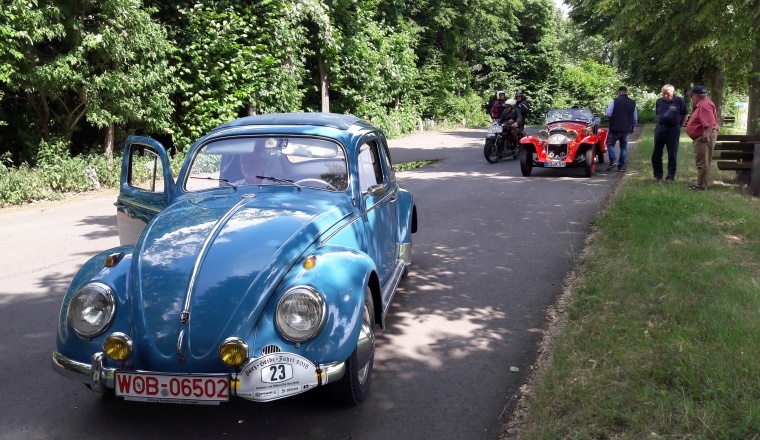 It was a matter of honour that the Wolfsburg Beetles should complete the 250 km run without problems. 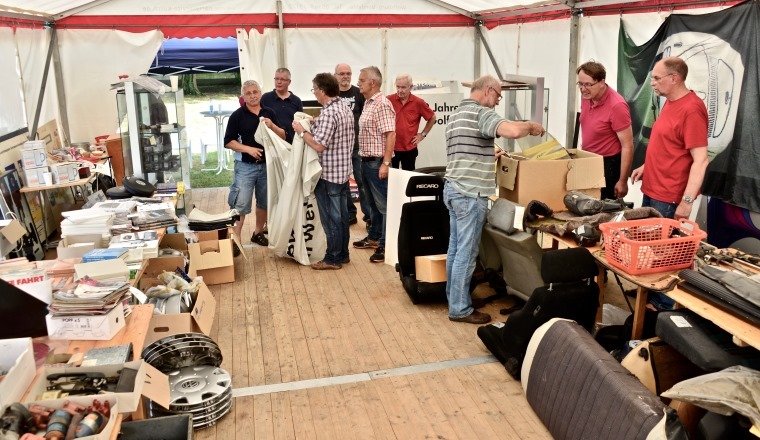 First in-house flea-market on the Volkswagen AutoMuseum site a big hit. 2 June 2018. 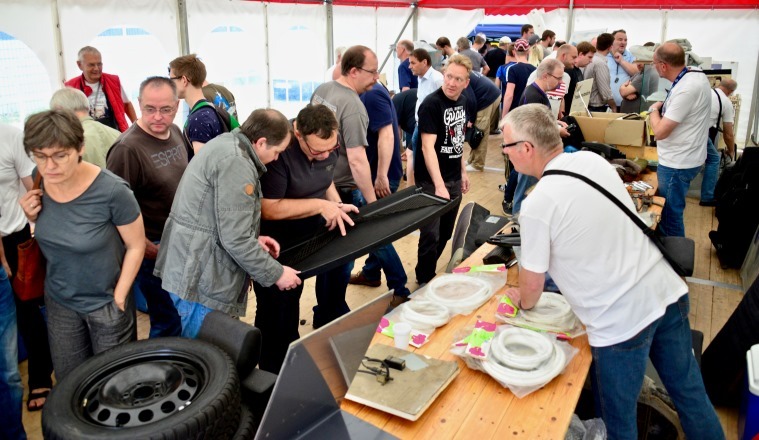 The newly established Friends of the Volkswagen AutoMuseum recently hosted one of its first public events: an in-house flea-market, linked to an Open Day. The idea came about while seeking and checking out engines in the AutoMuseum. This revealed large stocks of parts in the store, accumulated over a period of years. So the Friends set about finding new owners for the parts, and for other artefacts – books, porcelain, and much more. And they were successful. The crowds were queuing even before the gates were opened, and on the stroke of 9 a.m. they streamed into the specially erected marquee – kindly supplied by Partyservice Kusch, who also provided catering for the visitors. 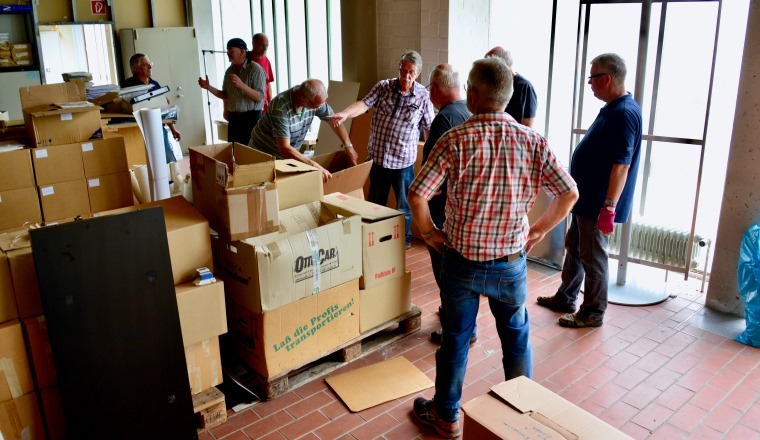 By the time the flea-market had ended around three in the afternoon, some 600 people had browsed the wide-ranging array of items – and most found what they were looking for. 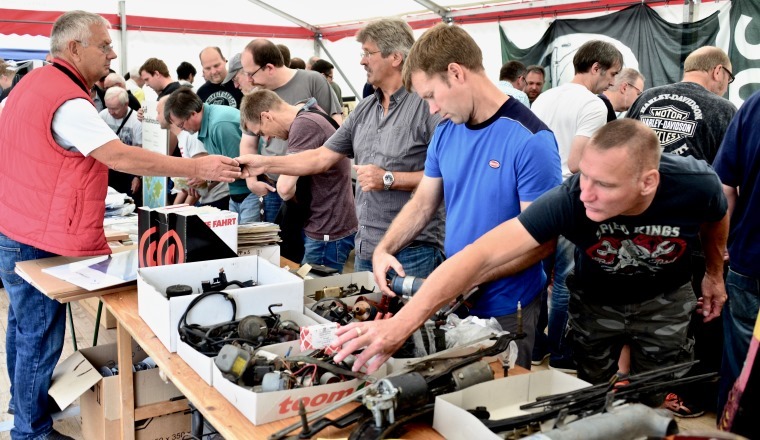 So the volunteer Friends certainly had plenty of work on their hands, as well as having the opportunity to chat with enthusiasts, which they obviously greatly enjoyed. It was also just reward for their hard labours in setting up the event over the days before. Thanks go to Kalle Forytta, Martin Gebhardt and their team who made it all possible. 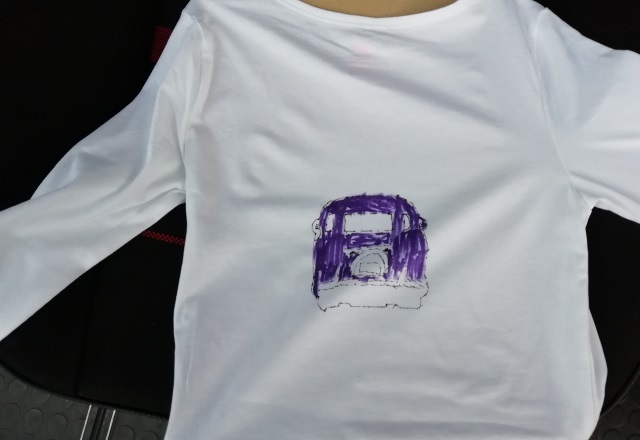 At the end, kitted out with T-shirts bearing the one millionth Bulli (thanks to Volkswagen Classic Commercial Vehicles!) they were all photographed in front of that very exhibit in the AutoMuseum. Chico exhibit from 1991/92 partially restored. 24 May 2018. 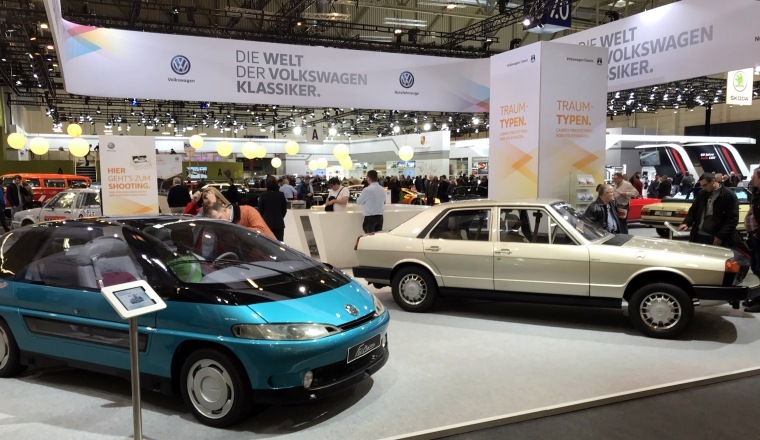 The Chico was a small economy concept car of which three were built and showed for the first time at the 1991 Frankfurt Motor Show. It was built by Volkswagen's R&D department. In different economic circumstances, it might well have had a chance of going into production. Consideration was given to making the 3.15 metre long two-door hatchback 20 cm longer in its production version. 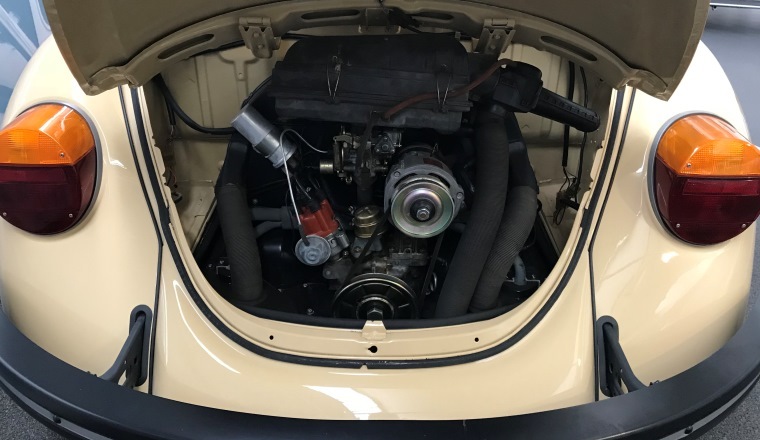 It was a hybrid vehicle – as is very much on-trend nowadays – featuring a small two-cylinder petrol engine developing 34 horsepower and an asynchronous electric motor producing 7 kW, equivalent to 9.5 horsepower. The Chico had a number of sophisticated design features – especially its four-way hinged doors which provided for easier entry and exit in tight parking spaces, its head-up display, and a trip computer. The vehicle is one of the highlights of the AutoMuseum's collection, but has suffered some damage over the course of time. 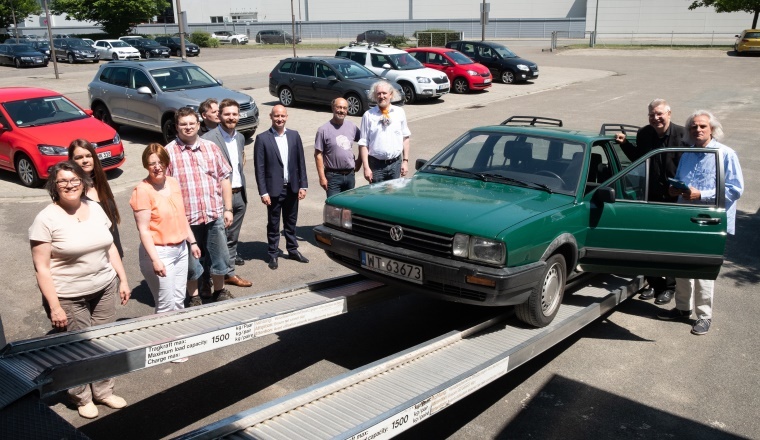 Thanks to work by the recently re-established Friends of the Volkswagen AutoMuseum, volunteers under the guidance of former VW R&D employee Christian Bartsch and a team from EDAG Wolfsburg-Warmenau have got together to restore it to exhibition condition. 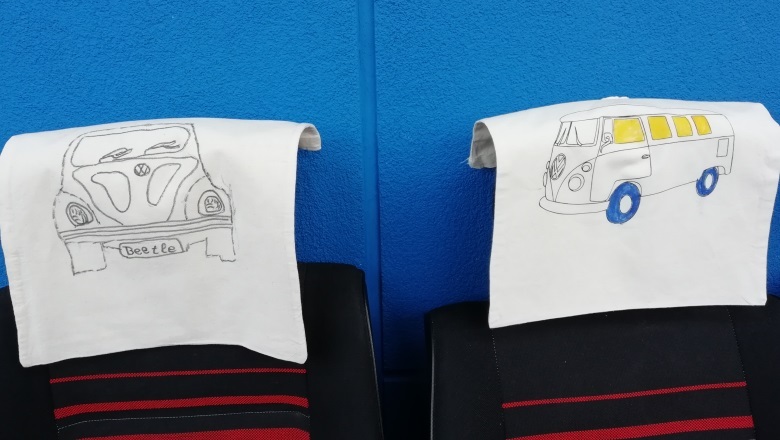 They have undertaken great efforts, employing industry-standard moulding techniques to gradually restore the shovel-shaped wheel arches and the vehicle's interior. The Friends have already had success in restoring other vehicles in the AutoMuseum's collection, and their work is greatly appreciated. A yellow and black parade. 20 May 2018. 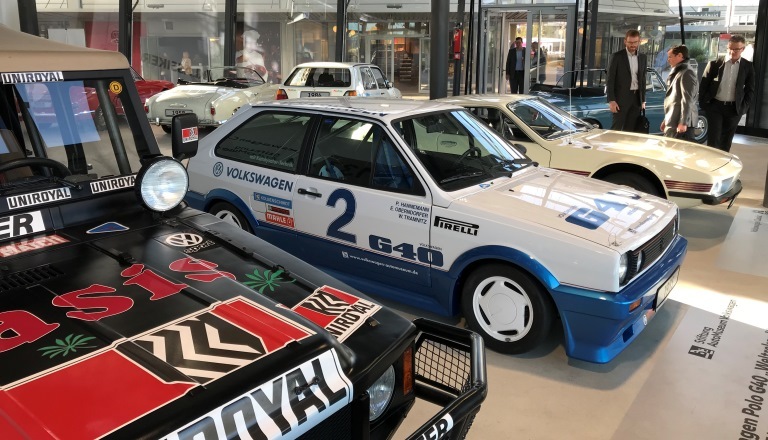 The morning quiet at the Volkswagen AutoMuseum was broken shortly before the official opening time by the burble of Boxer engines from 14 yellow and black liveried race cars. 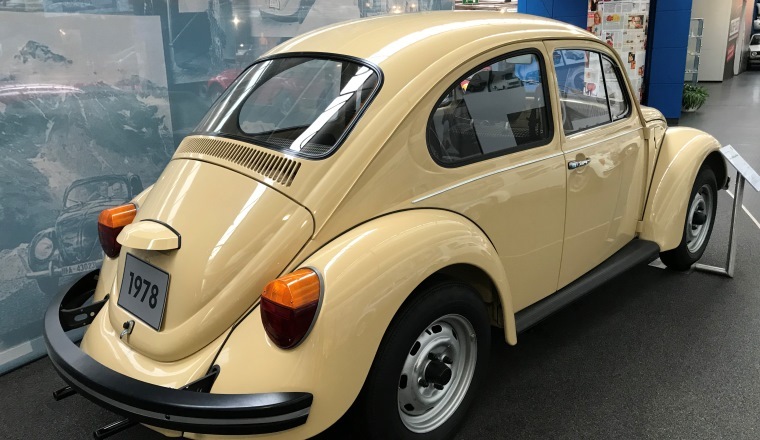 The special Beetle model – a production run of 3,700 back in 1973 – remains highly popular to this day. There are currently about 100 known exemplars of the model in existence. And a community has grown up around it which meets on a quasi-annual basis. 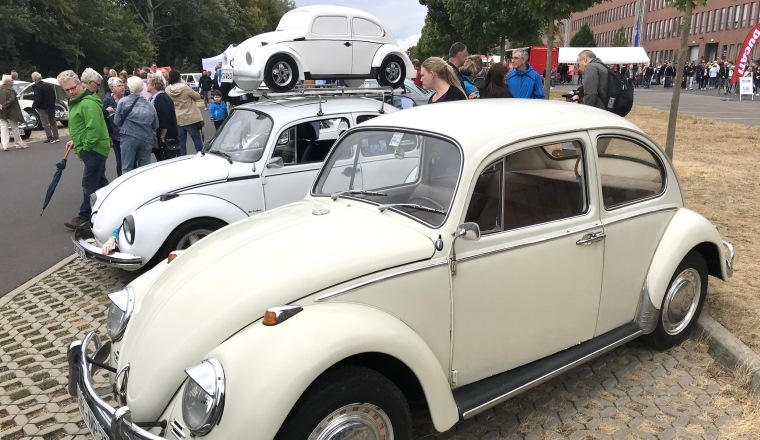 This time the group undertook a trip to Wolfsburg, the Beetle's birthplace, where organiser Carsten Meyer had come up with a wide-ranging Volkswagen-based programme for the attendees to enjoy. 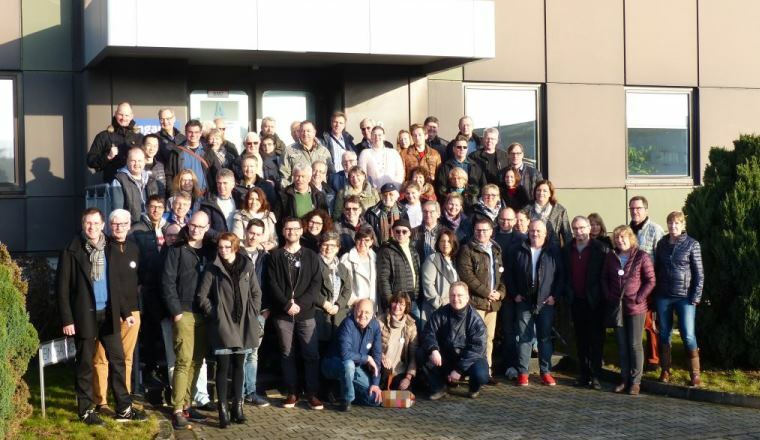 The event began in the modern-day world, with a factory tour. 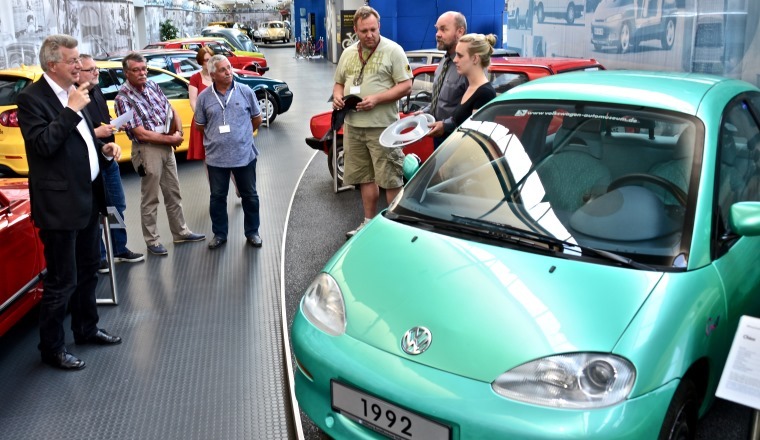 After visiting the Autostadt, on Whit Sunday the group headed to the Volkswagen AutoMuseum. 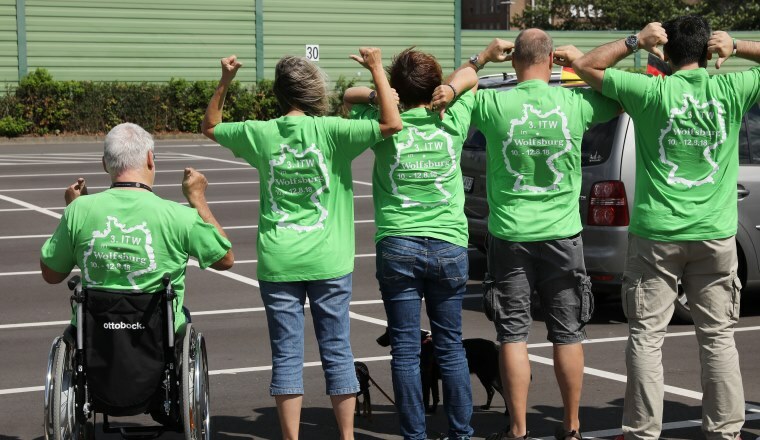 There they proudly exhibited their magnificent racers in the museum's car park – much to the delight of the other visitors. The glorious sunny weather was perfect for taking a spin in a classic car, so that was how the afternoon was spent. 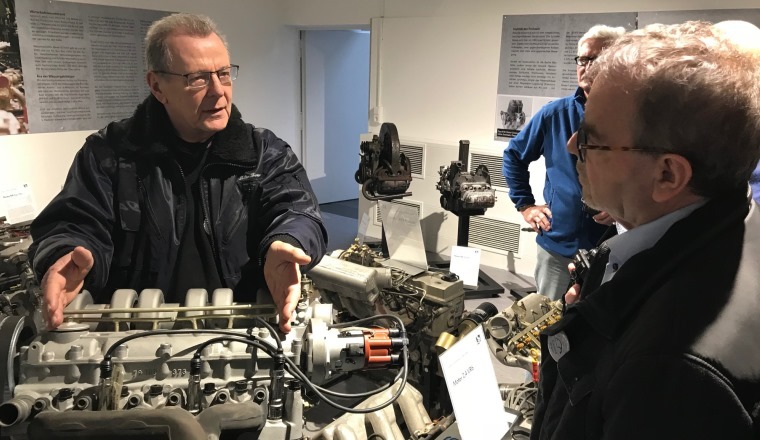 But before that the fan group thoroughly enjoyed a comprehensive tour of the Volkswagen treasure trove under the guidance of Ernst Lilje from the museum's staff. 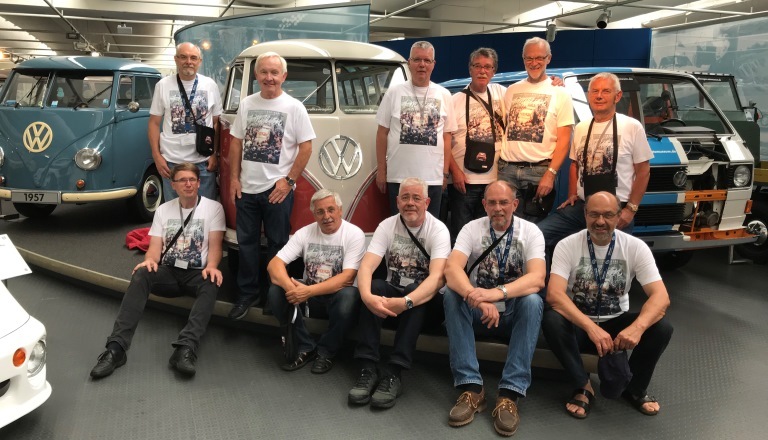 For some of the group, who had come from far and wide, it was the first time they had visited the Volkswagen AutoMuseum – but certainly not the last. 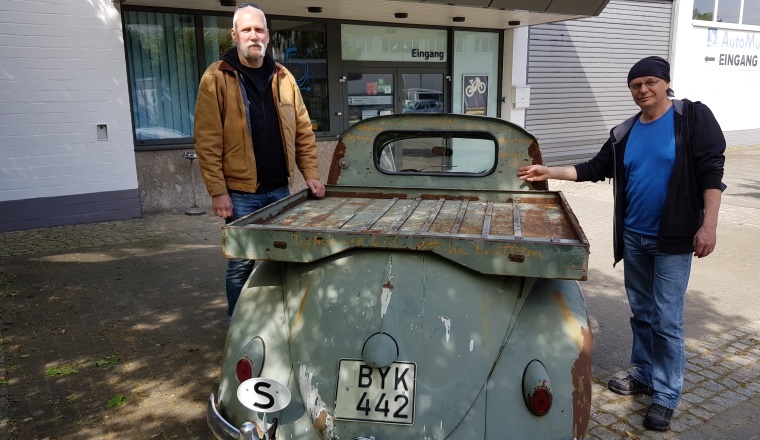 Customised Pickup from Sweden stops by the AutoMuseum. 2 May 2018. 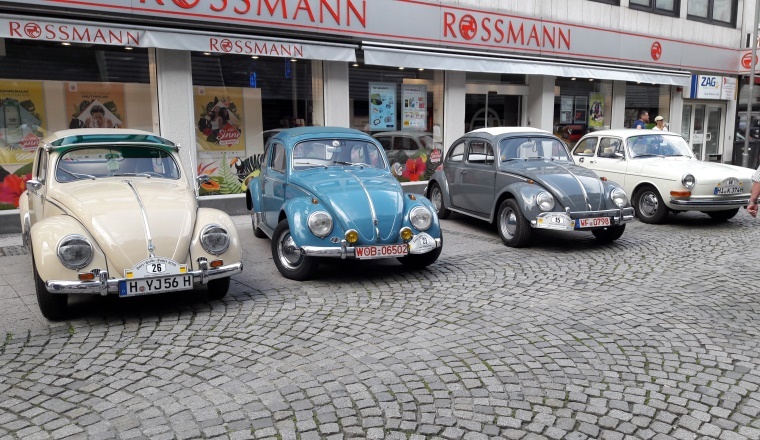 The traditional start to the classic vehicle season in Germany is the large-scale Beetle meet on May 1st in Hanover. 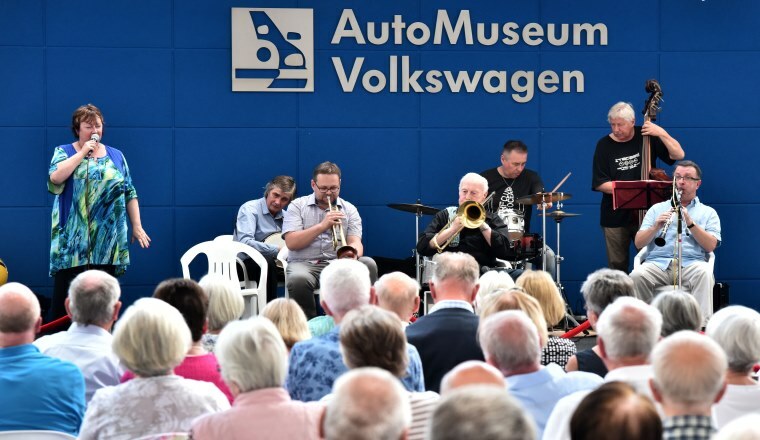 Once again this year, the big crowds drawn by the event also boosted visitor numbers at the Volkswagen AutoMuseum. 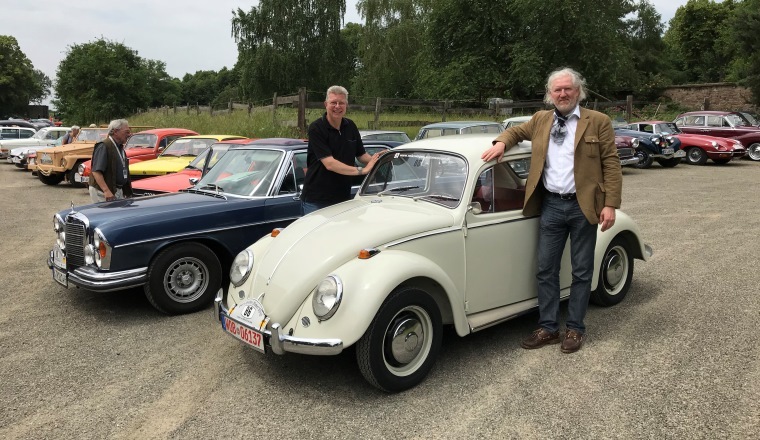 Two of those visitors were Ulf Karwik and Ore Persson from Östersund in Sweden, who undertook the 1500 kilometre trip from their home, via Gothenburg and Kiel, first to the great Beetle family get-together in Hanover, and then on to the AutoMuseum in Wolfsburg. 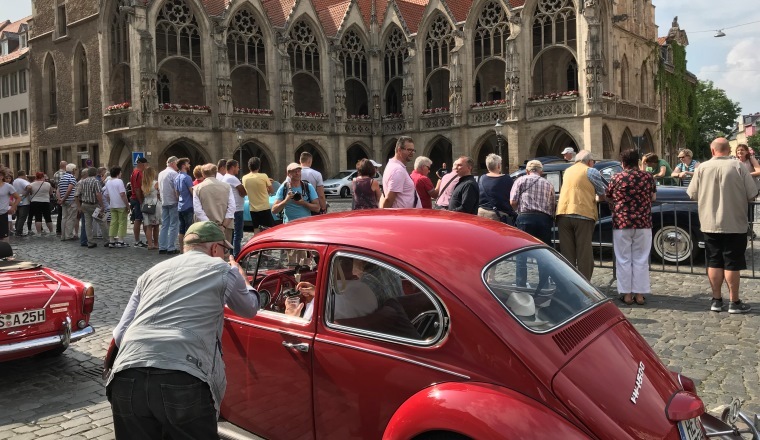 The vehicle they made the trip in was a special one: a Beetle Pickup, a modification of a 1956 Beetle carried out by Karwik's father four years after acquiring it from new. 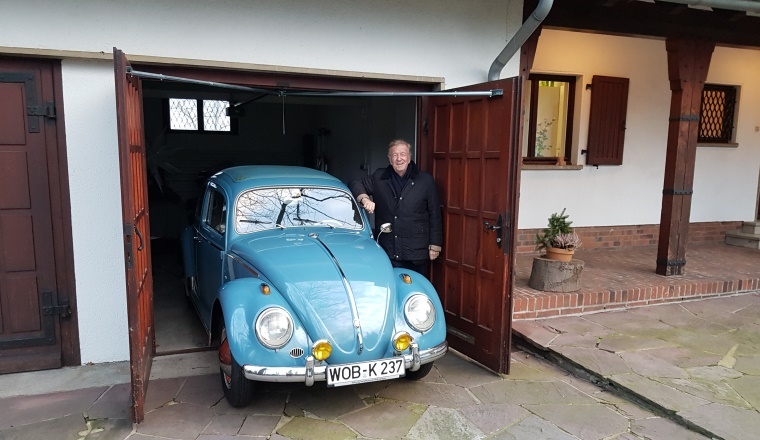 He developed the idea after visiting the Volkswagen factory in 1955 as part of his work for the company's Swedish importer and seeing a number of Beetles being run as Pickups there. It took a few years before he had built up the confidence to undertake his own customisation based on what he had seen in Wolfsburg though. The long-established family treasure has regularly been driven on summer-time trips all around Europe ever since. 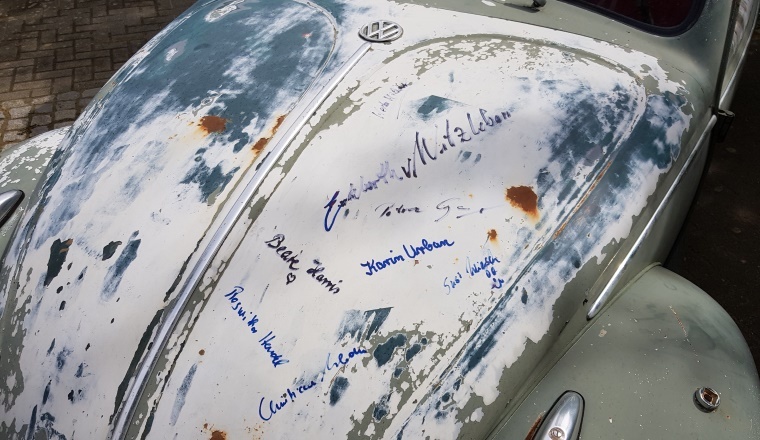 The two present-day travellers this year had all the AutoMuseum staff sign the Pickup's bonnet in commemoration of their visit to Wolfsburg. AutoMuseum at classic vehicle meet in Braunschweig. 1 May 2018. 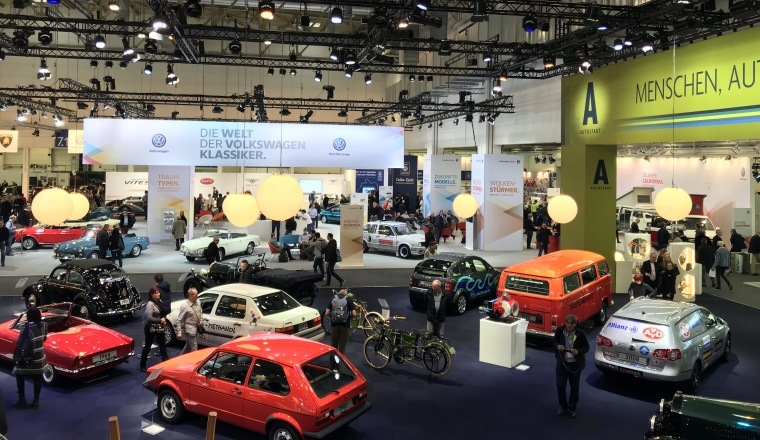 The Volkswagen AutoMuseum recently exhibited for the first time at the all-makes classic vehicle meet in the neighbouring city of Braunschweig. 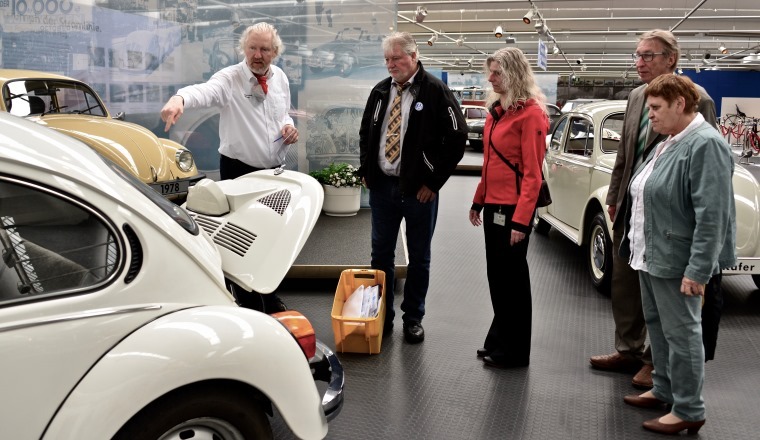 Beate Harris and Kalle Forytta – the latter of whom was one of the founding members of the Friends of the Volkswagen AutoMuseum – attended the meet in fitting style in the 1975 Jeans Beetle. As well as engaging in lots of interesting dialogue with the attendees, the museum staff also offered a small selection of items from their shop range at the event, and promoted their special exhibition and the upcoming flea-market at the museum, all of which was very well received. The two also of course very much enjoyed checking out the other classic vehicles on show at the meet, including a historic scooter and a convoy of fire trucks. This year's was the 37th meet in Braunschweig. Retiring after 50 years and one month. 26 April 2018. 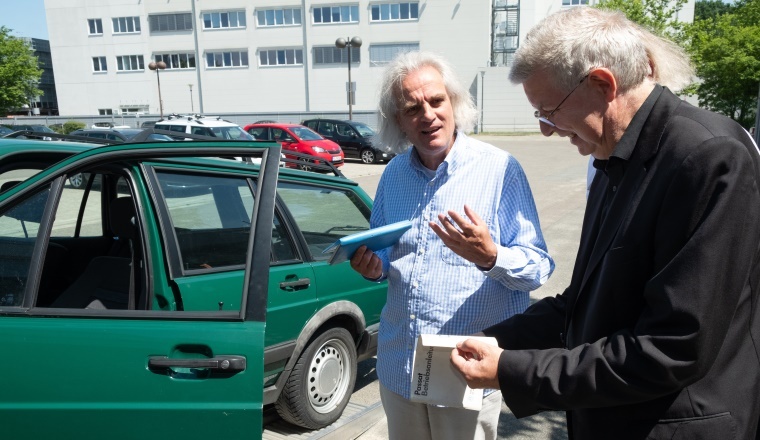 It was to be a special day for Wolfgang Hammerschmidt: After his 50 years and one month working for the German Postal Service, head of the Volkswagen Post Office Jürgen Gentemann and his colleagues were certainly not going to see him off without ceremony. 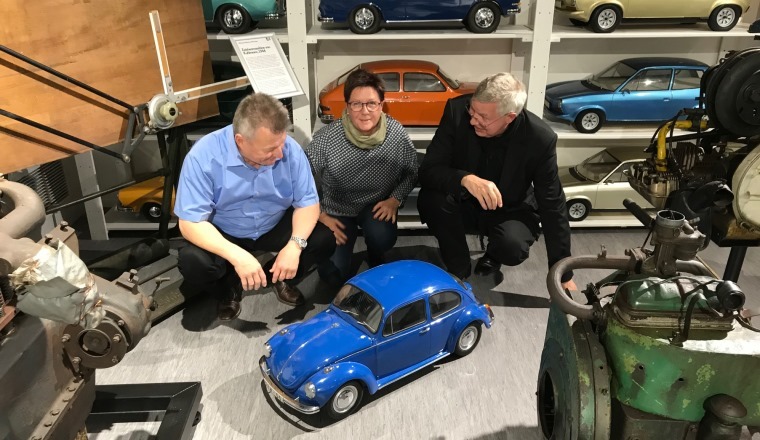 As a big thank-you for his many years of close collaboration, they invited him to a photo-shoot in the Volkswagen AutoMuseum. 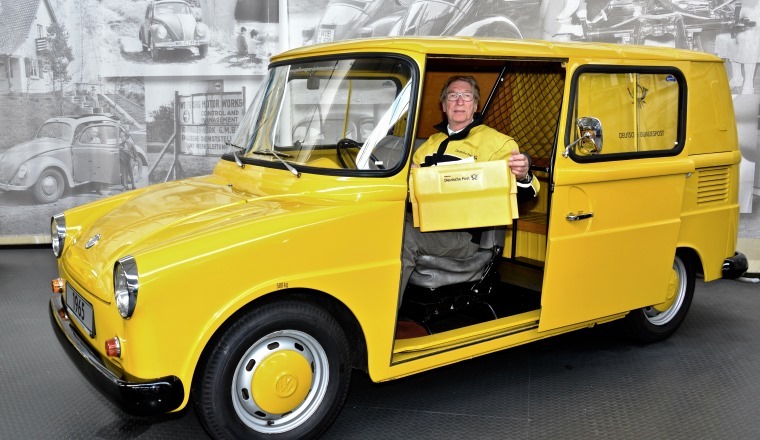 There Hammerschmidt had the opportunity to sit in the Post Office yellow Fridolin van and officially handed over the post to the Volkswagen staff one last time. Postie Hammerschmidt started as an apprentice with the German Postal Service in Wolfsburg on April 1st 1968. It was in 1971 that he took over post deliveries to the Volkswagen plant. He was responsible for delivering letters and – back then still – telegrams too. His wife Rita is now looking forward to spending more time together, and after 50 years no longer having to iron Post Office uniform shirts! The Fridolin van was produced in small volumes exclusively for the German Postal Service (though some of them did find their way to the Swiss Postal Service). 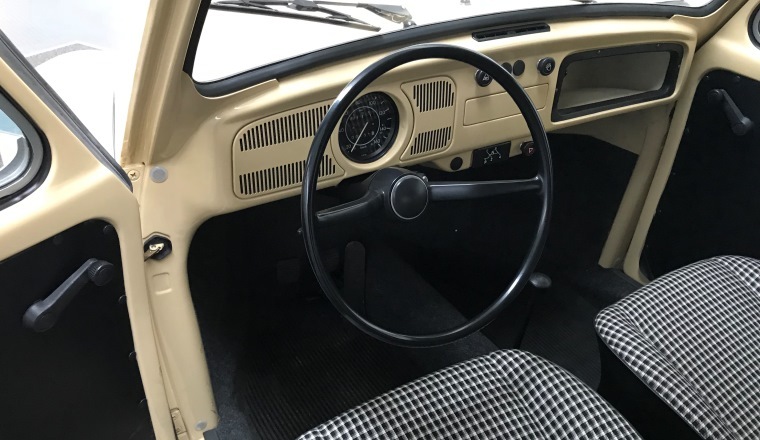 It was based on the Karmann Ghia type 14, and was built at Westfalia in Rheda-Wiedenbrück between 1965 and 1972. 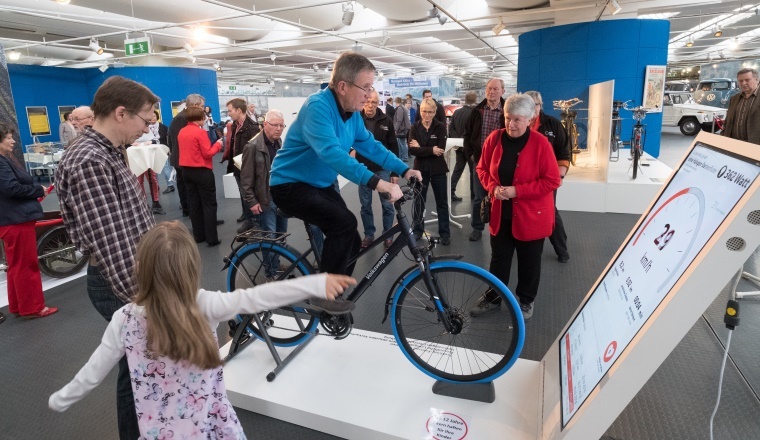 Opening of the new special bicycle exhibition. 27 March 2018. 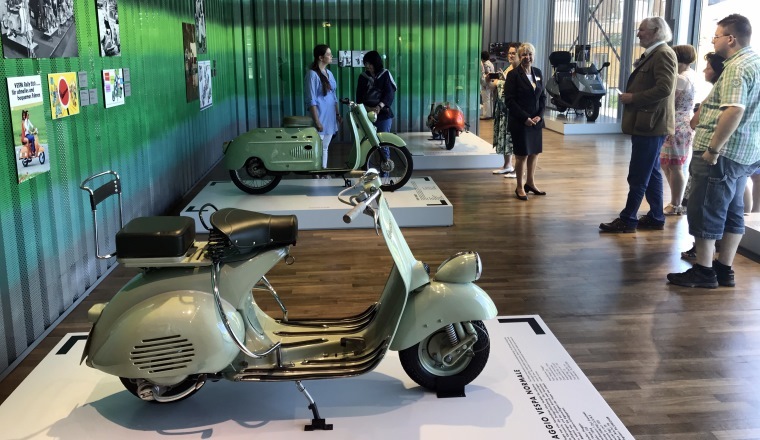 The Volkswagen AutoMuseum's new special exhibition, "Trends on two wheels", is devoted to the history and use of the bicycle. 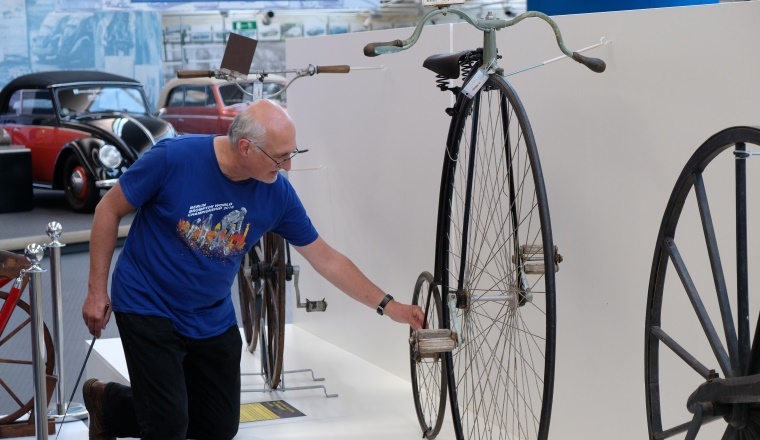 It's very much in keeping with the times, because cycling is becoming increasingly popular – as was demonstrated by the great interest in the exhibition. 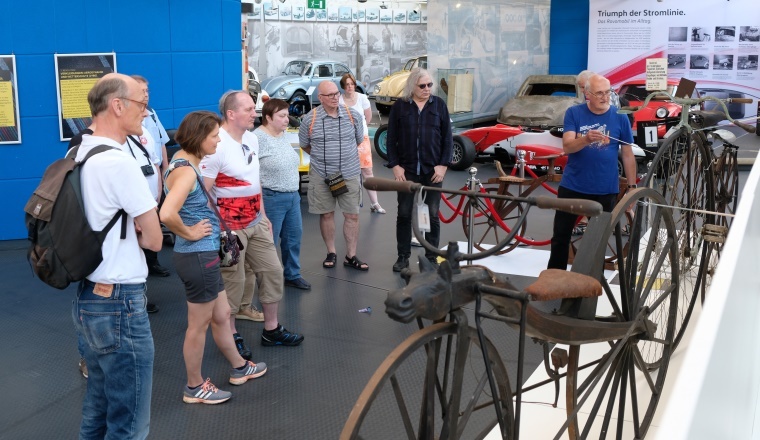 Over 100 guests attended the official opening, where they were treated to an interesting and entertaining presentation by exhibition curator and bicycle expert Ingo Kollibay. His aim was to create an exhibition which would highlight the diversity of bicycle variants, featuring small production run models as well as lots of unique custom bikes, including one made of bamboo and a lowrider. 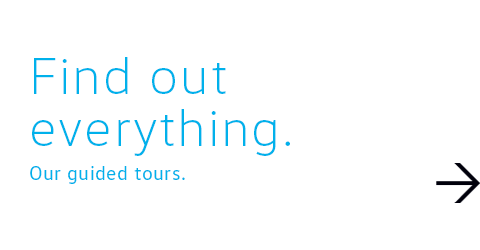 There are 55 exhibits in all – thanks in part to the many loaned items on show. Tobias Ludwig from Volkswagen enthusiastically presented "his" e-bike prototypes, under the motto "Micro Mobility". They proved very popular, and would doubtless find buyers. 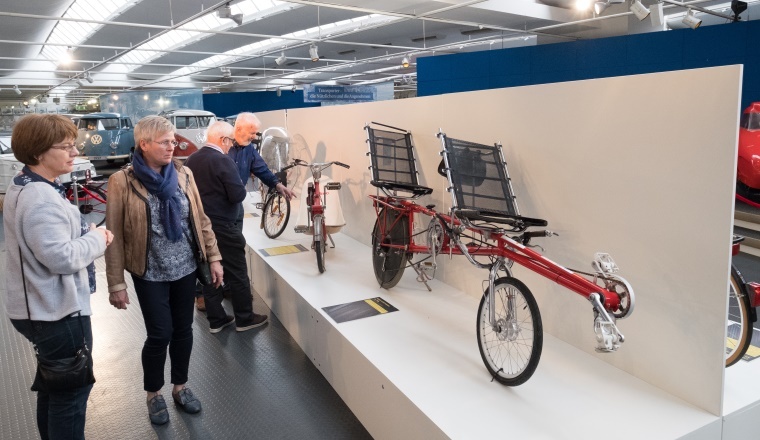 The bike culture at the Volkswagen factory is reflected in presentations featuring the simple works bike and its role on the site. The exhibition includes five portraits of company employees who are glad to have one of the bikes to get them around the huge site. They, and some of their colleagues who cycle to work every day, were also in attendance in person at the evening event. 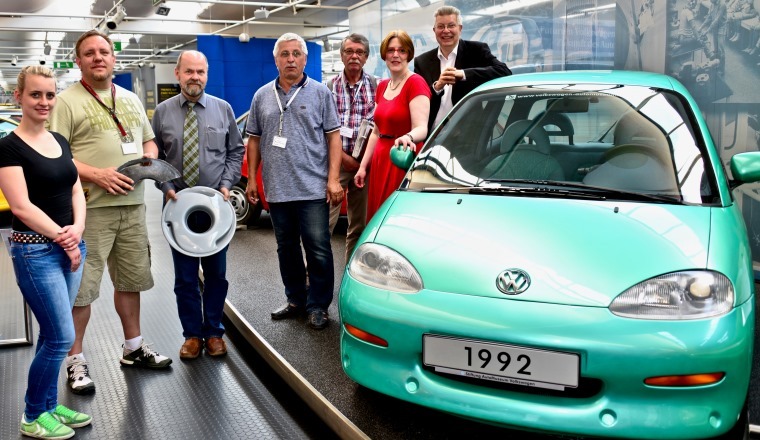 AutoMuseum places first Volkswagen robot in Wolfsburg factory. 22 March 2018. 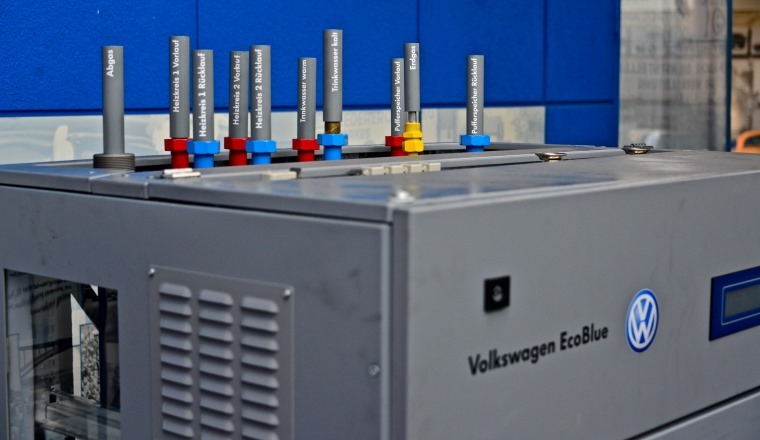 In order to meet their own high quality demands, in 1973 Volkswagen's in-house product planning engineers began developing and building the first robots themselves for the electronic spot-welding of Golf 1 bodies. "Robbi 1" remained in operation from 1975 to 1978 before being decommissioned and finding a new home in the AutoMuseum. 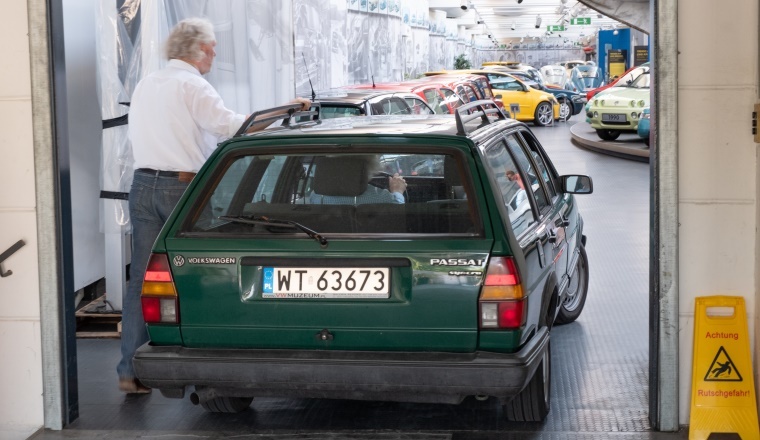 In 2014 it was exhibited in the special exhibition commemorating 40 Years of the Golf, providing a striking demonstration of how automation in production took off. 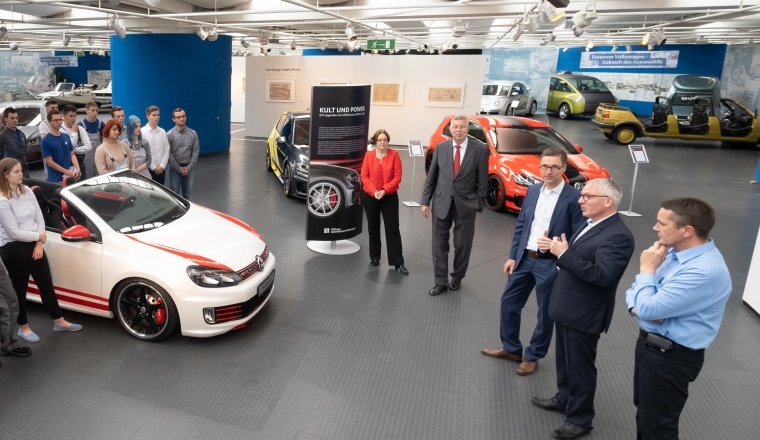 It has now been loaned back to the Volkswagen plant in Wolfsburg, where it is on display for the many visitors to enjoy on their factory tours. AutoMuseum exhibiting at Techno Classica. 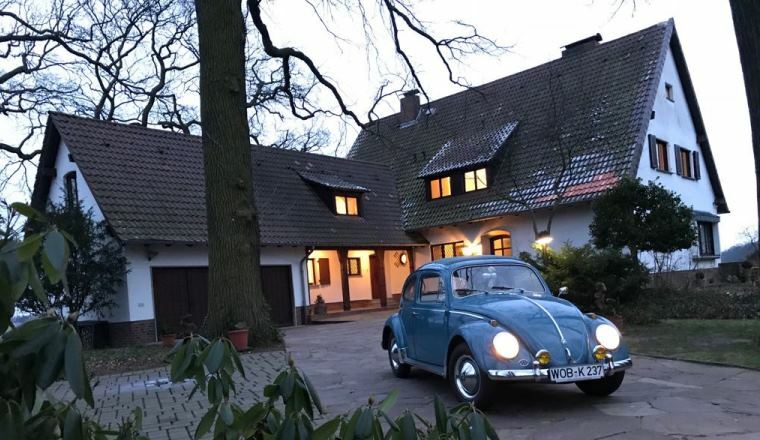 Nordhoff's Beetle in front of Nordhoff's villa. 20 March 2018. 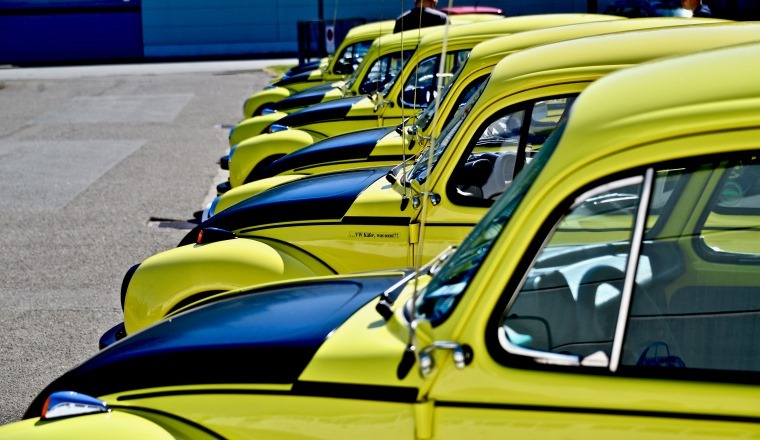 It was 70 years ago that the man who made the Beetle a global mass-seller came to Wolfsburg. He ran Volkswagen for 20 years, and it is 50 years since his death. 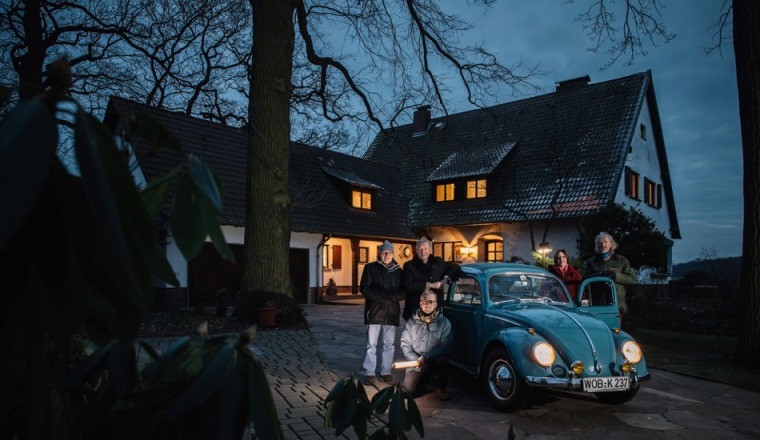 To mark the anniversary, classic car magazine "Auto Bild-Klassik" requested the Volkswagen AutoMuseum to loan it the Nordhoff family's own Beetle for a photo shoot in front of the Nordhoff villa. 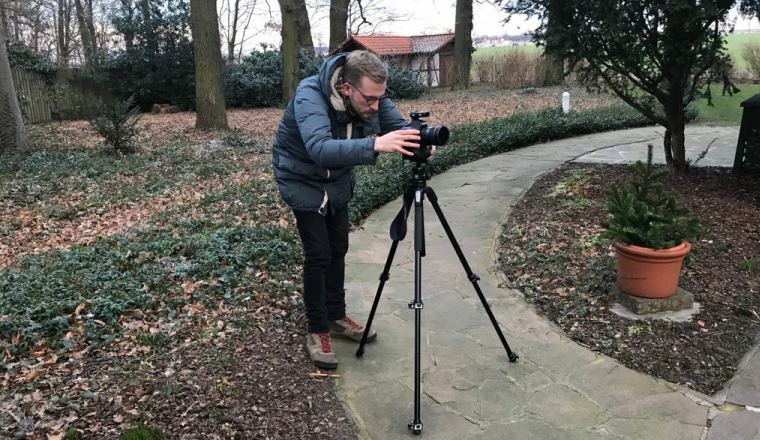 The villa has for some years been privately owned by Rolf Schnellecke, a former mayor of Wolfsburg, who was all too pleased to place the villa and its garden at the magazine's disposal for the shoot. Over tea, coffee and cake, he talked about his time as the town's mayor, and about his historic house, which remains largely in its original condition. So on the evening of February 6th 2018, the car was once again parked in the garage where it had previously been housed in the period from 1960 to 1988. The Golf-blue export Beetle was driven mainly by Nordhoff's wife Charlotte. It nowadays spends most of its time at the AutoMuseum, and has even become a much sought-after Lego kit. The story of Nordhoff and his work is featured in the latest issue of the magazine (04/2018). Europe in a VW T3 Bus. 15 March 2018. 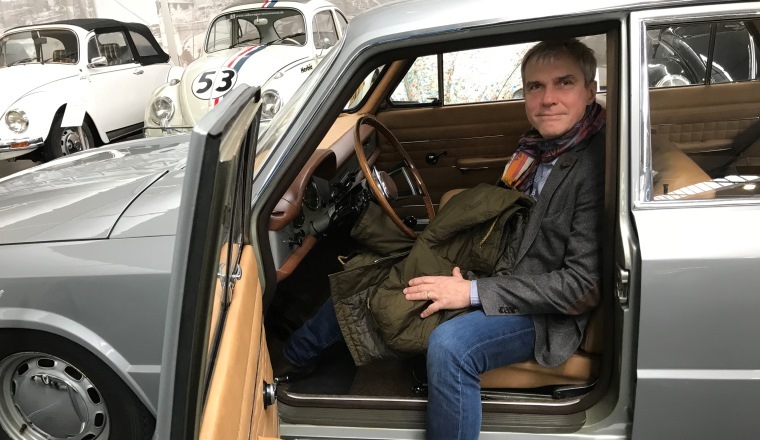 All good things come in threes: World-traveller Oliver Lück, his dog Locke and his classic VW Bus recently made their third appearance at the Volkswagen AutoMuseum. Lück took his audience of some 40 people on a captivating journey all around Europe. 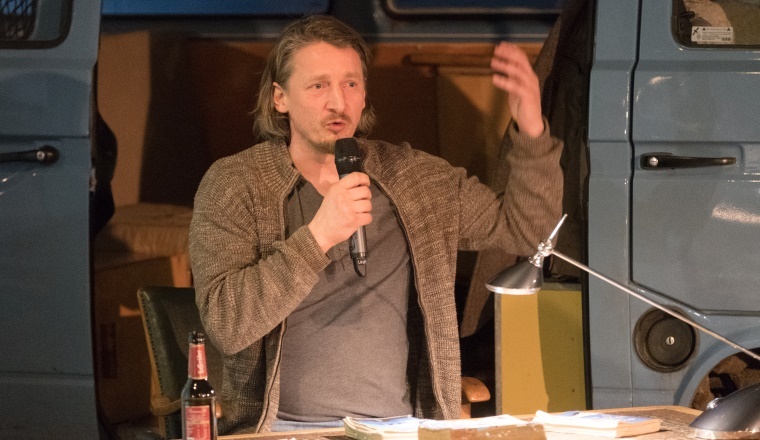 The author of "Neues vom Nachbarn" [News from the neighbour] conveyed his special experiences from different countries – and especially of their people – through illustrative, striking and in part humorous photographs. Lück shot the images over the past 20 years on his journeys around the continent, and his commentary provides an interesting and entertaining accompaniment. 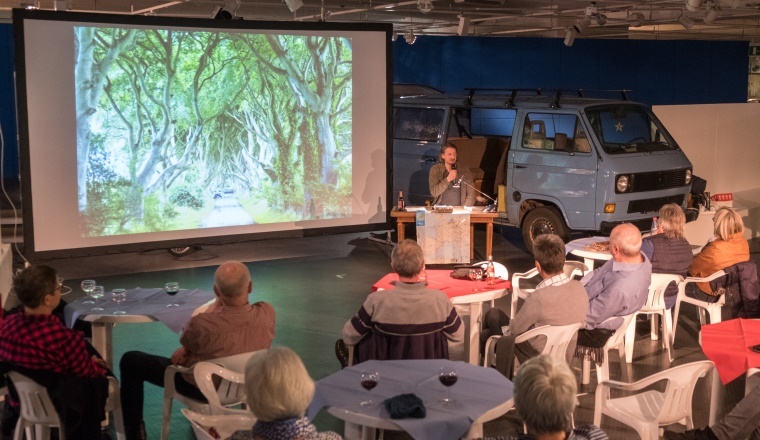 His focus is on the extraordinary life-stories of the people he encountered – whatever the country, whether in a big city or the remotest of rural areas. The author also reveals that he is still today in touch with many of the people he so lovingly portrayed on his travels. 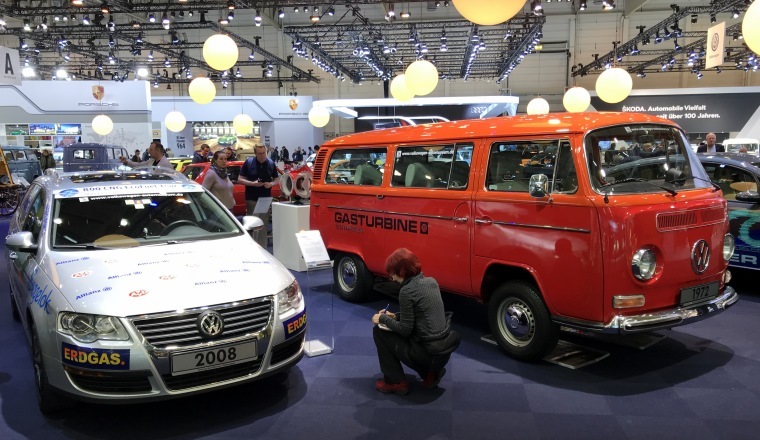 He began his talk in Wolfsburg by explaining how his love for the VW Bus was first born – and why he is still an enthusiastic driver of the T3 even today. Marking International Women's Day with the Beetle. 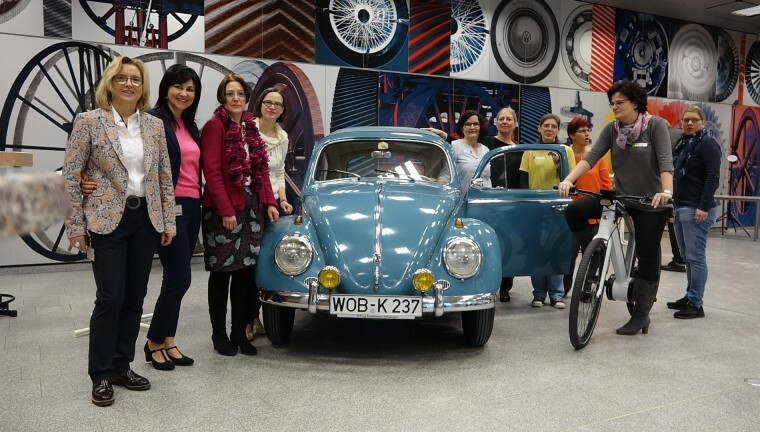 8 March 2018. International Women's Day is celebrated worldwide, including within the Research and Development department at Volkswagen. 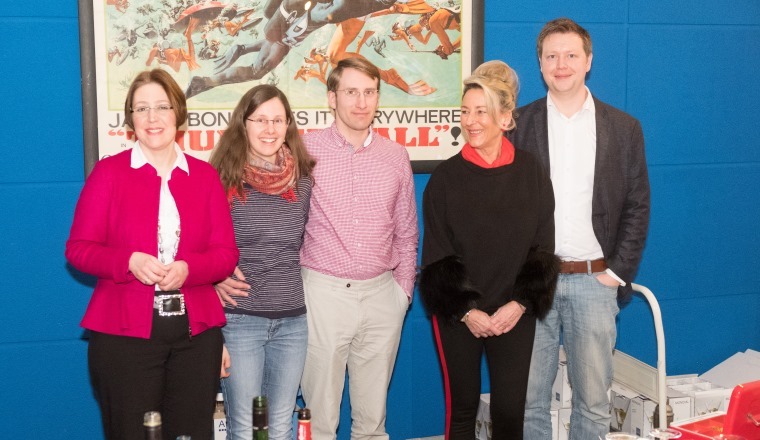 Once a year, the female members of the Works Council invite all women (and men are welcome too) working in the technical field to an Open Day – this time around under the motto "Digitalisation 4.0". 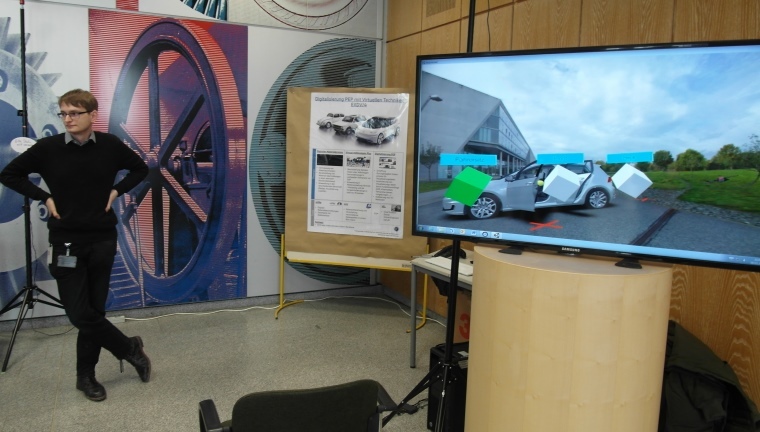 The event featured two interesting presentations on the company's advance research projects. The ladies in attendance were also especially interested in the Volkswagen E-Bike that was on show at the event, as well as the digital 3D Virtual Reality (VR) headset. 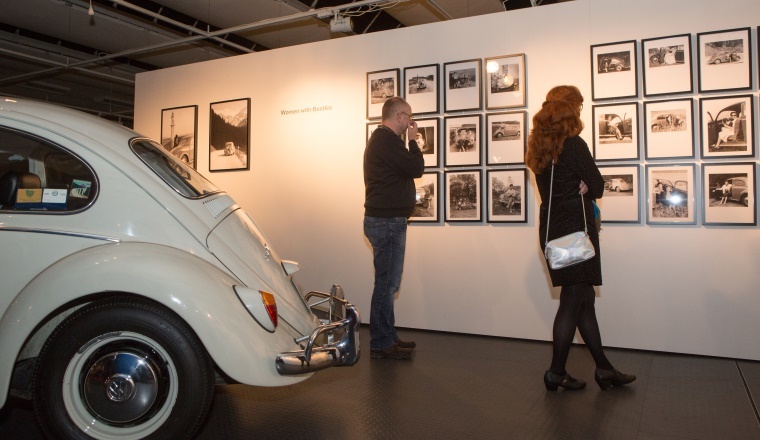 The Volkswagen AutoMuseum exhibited a 1960 Beetle, as a reminder of where Volkswagen has come from and how mobility was experienced in earlier times – in the era of "Digitalisation 1.0" so to speak. 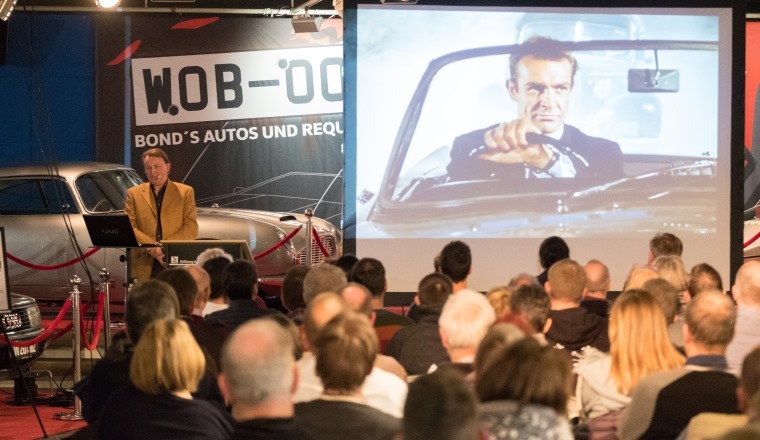 Full house during James Bond event at the Volkswagen AutoMuseum. 9 February 2018. 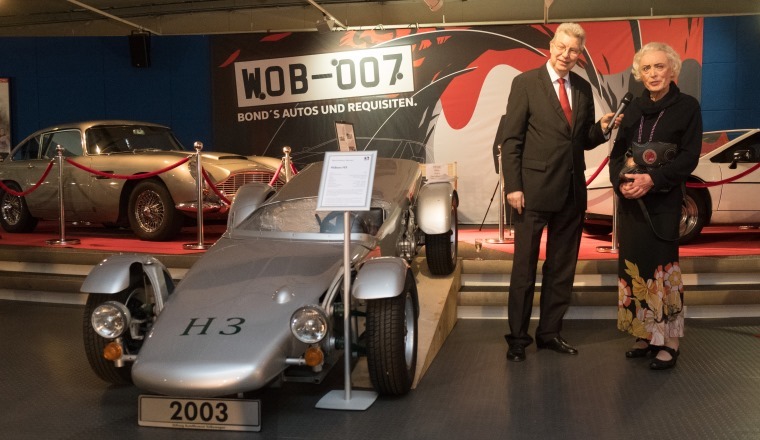 As part of the special exhibition "WOB-007" the Volkswagen AutoMuseum and Dr Siegfried Tesche invited guests to a talk about the Bond vehicles. A resounding success: 150 guests accepted the invitation and listened in spellbound silence to the speaker's presentation that was accompanied by film excerpts and pictures. Tesche said that if you pay close attention to the films you will find that they always follow the same pattern – with wild chases in fast cars that spin around and perform incredible loopings. Many product manufacturers have used Bond for their own advertising with some even producing special models. 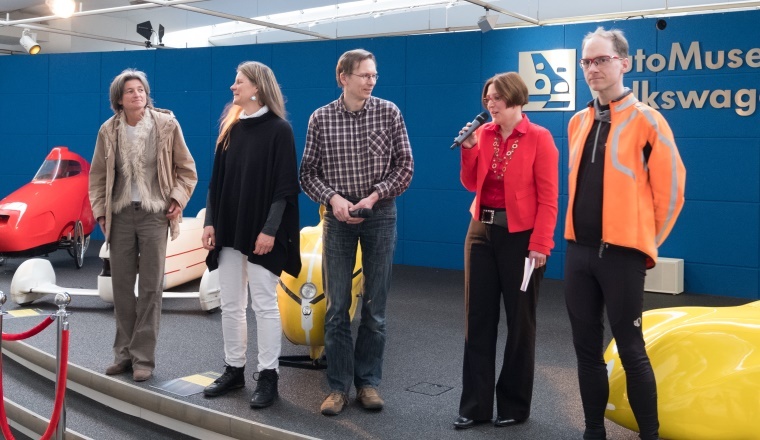 To start with, Susanne Wiersch welcomed the guests and asked the audience which of Her Majesty's secret agent's cars they liked best. The Audi 200 was one of the cars named – a Volkswagen Group product with an attractive design – and, needless to say, the Aston Martin DB 5. 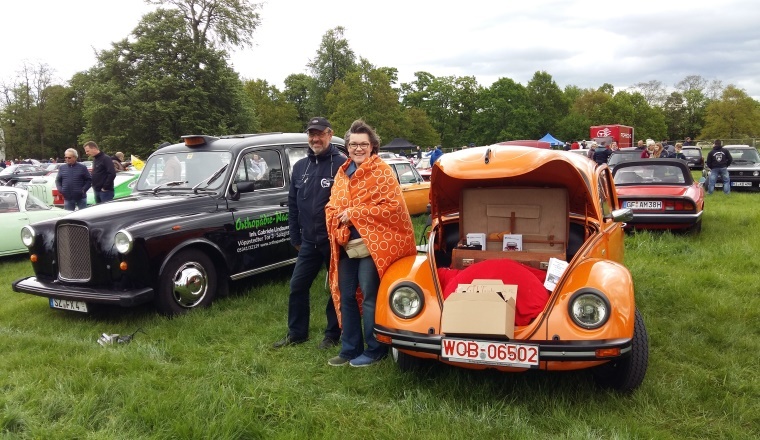 The British classic car reminded many visitors of a coveted model car from their childhood. 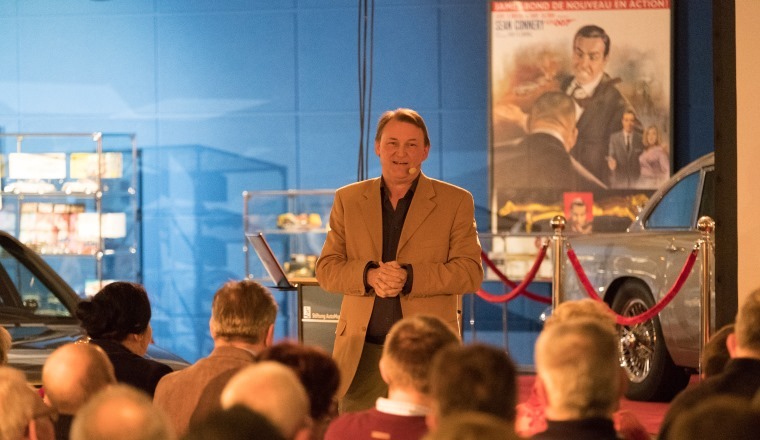 A short visit by the director of the Dornier museum. 31 January 2018. 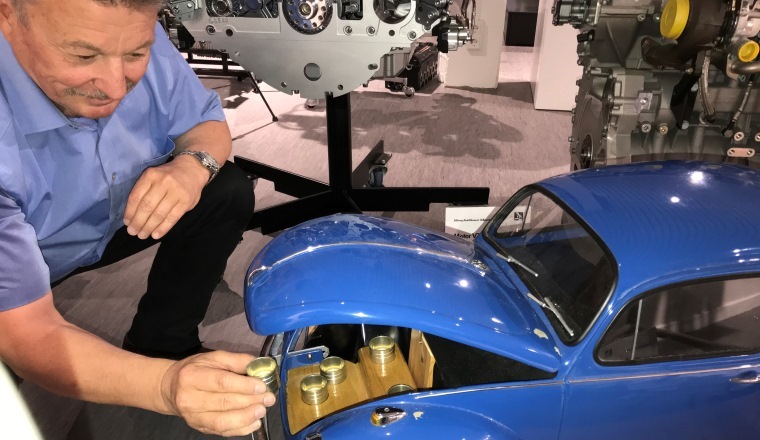 David Dornier, grandson of the aviation pioneer Claude Dornier and director of the Aerospace Museum at Friedrichshafen Airport since May 2017, made a brief visit to the Volkswagen AutoMuseum. 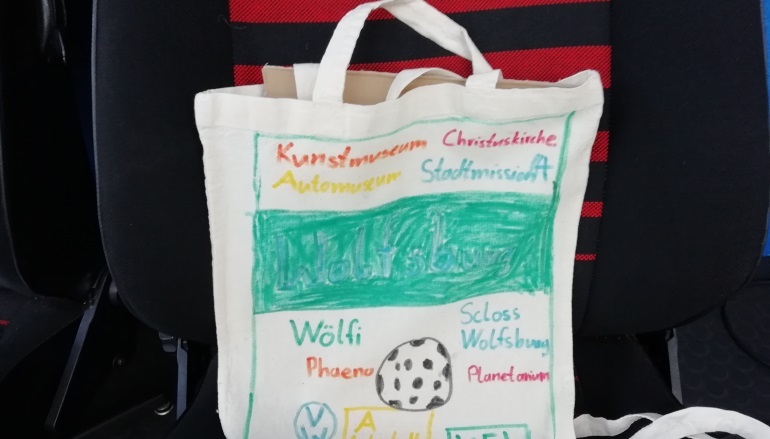 He reminisced about his own Volkswagen models and showed great interest in the factual, minimally orchestrated presentation of the large Wolfsburg automobile collection. A tip for readers: the Dornier museum is currently constructing a parallel building where the legendary "Landshut" kidnapped by terrorists and freed by the GSG 9 will be exhibited. First vernissage of the New Year: Women with Beetles. 30 January 2018. 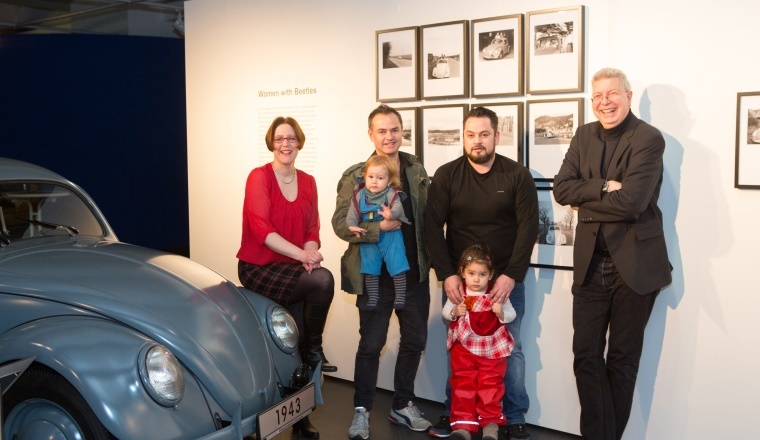 Volkswagen AutoMuseum opened its first exhibition of the year with the vernissage "Women with Beetles". 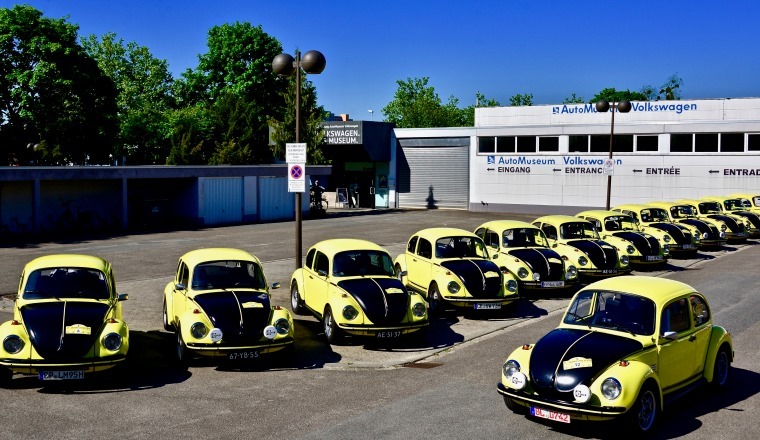 The eighth show in the "MobilArt - Art at the Volkswagen AutoMuseum" series presents the same motif of women with Beetles in all kinds of different situations and ever new constellations. The collection of 700 amateur photographs from private albums was compiled and thematically composed in terms of photographic art by the Chilean artist Enrique Muñoz García, who lives in Switzerland. 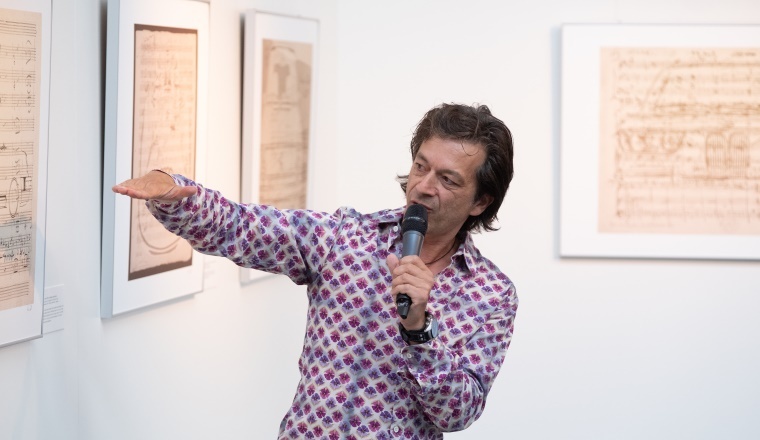 It is the artist’s first show of this kind and he was very pleased with the large number of invited guests and was happy to answer their questions. 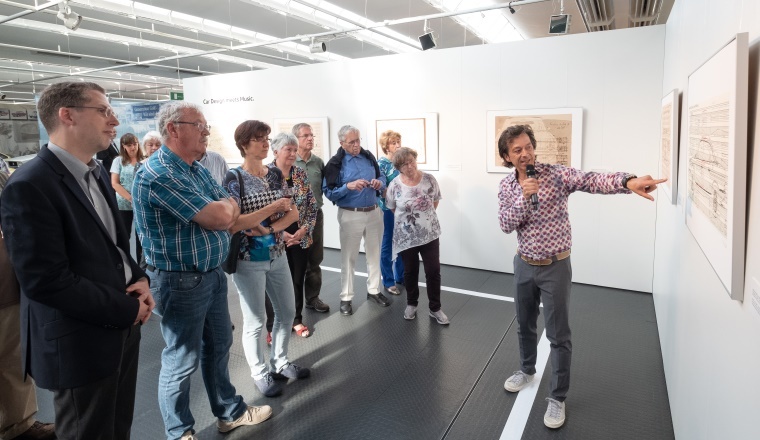 After a welcome and a brief introduction to the exhibition by museum employee Susanne Wiersch, the guests studied the pictures at their leisure. For some guests this brought up memories of their own Beetles – some of them even have similar pictures lying around at home (which we would be very pleased to receive!). 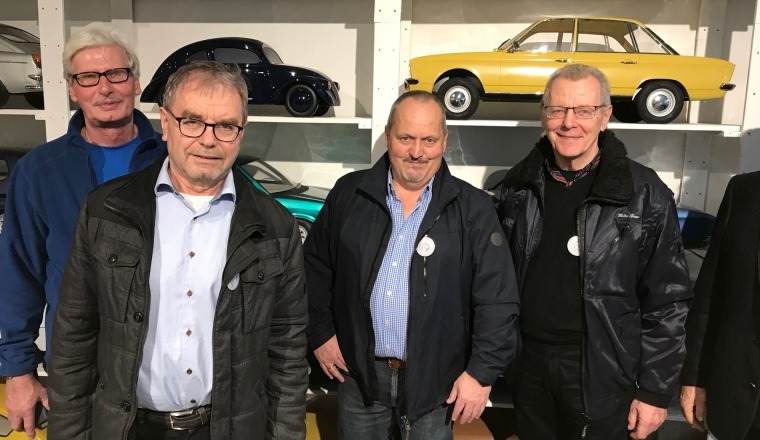 Treser Club at the Volkswagen AutoMuseum. 26 January 2018. 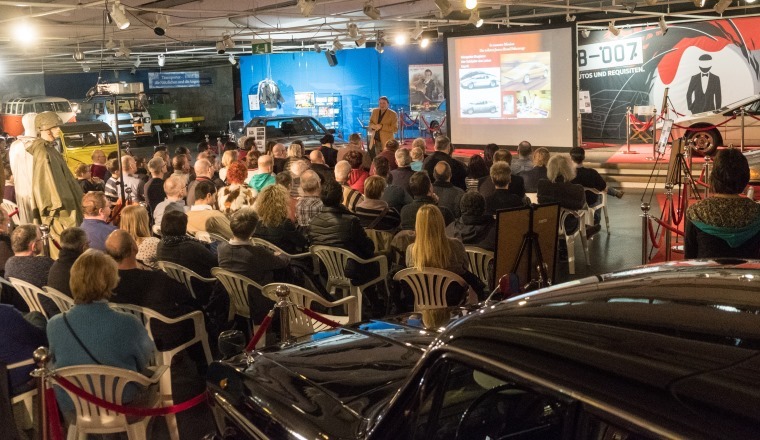 On Friday more than 70 members of the Treser Club came to the Auto Museum for an hour and a half. 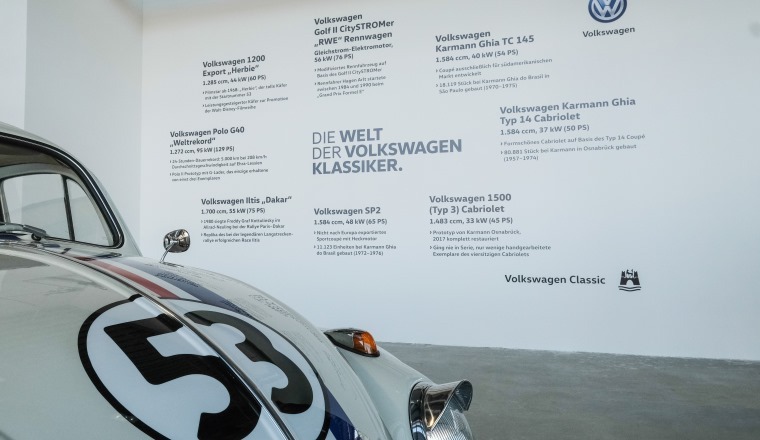 For Walter Treser, legendary head of motorsport and small-series manufacturer on the basis of VW and Audi vehicles, it was a repeat visit as he had attended the opening of the large special Polo exhibition in 2015 as a guest of honour. 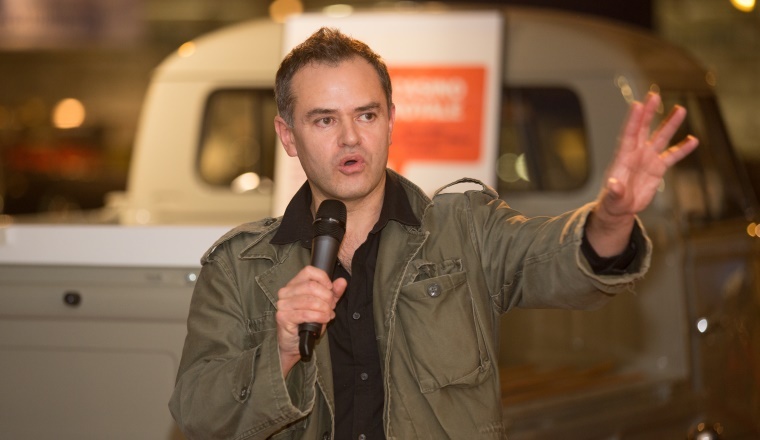 The fans were particularly interested in the research engines and Treser revealed himself to be an expert here – especially in VR engines from Volkswagen. Happy Birthday to the last German Beetle. 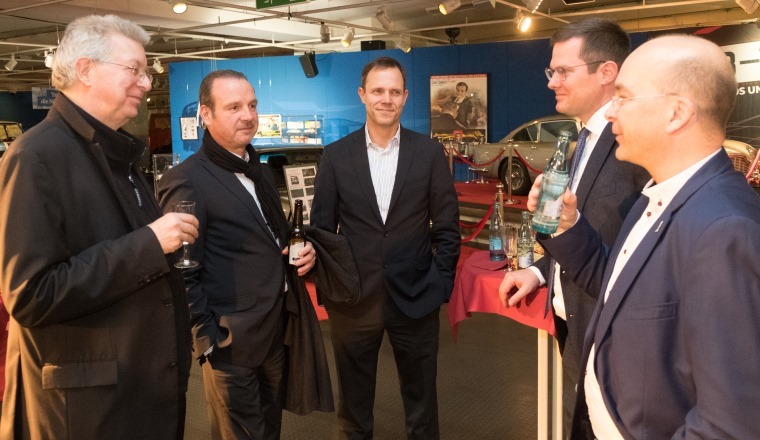 New Year reception at the Volkswagen AutoMuseum. 16 January 2018. 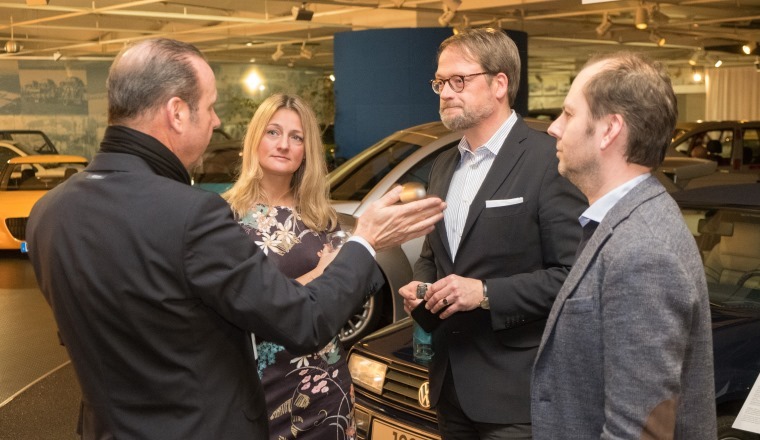 This year the Volkswagen AutoMuseum once again invited its sponsors and supporters to the traditional New Year's reception at the Volkswagen AutoMuseum Foundation. 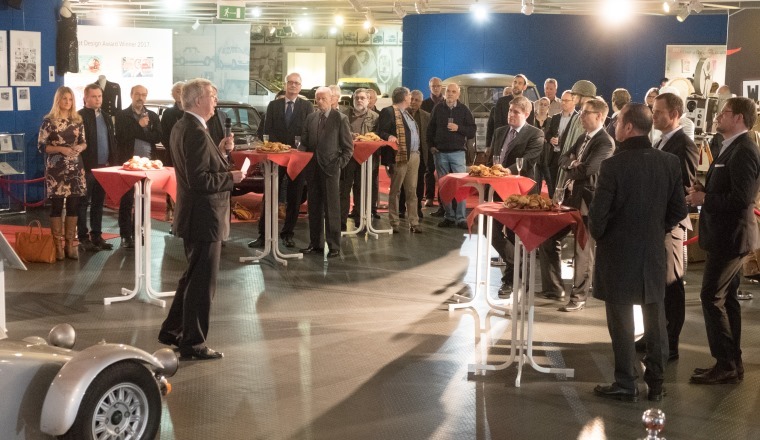 Around 60 guests listened to Eberhard Kittler, Chairman of the Board of the Volkswagen AutoMuseum Foundation, talk about the numerous activities that took place in the museum last year which were responsible for the record number of over 23,000 visitors. 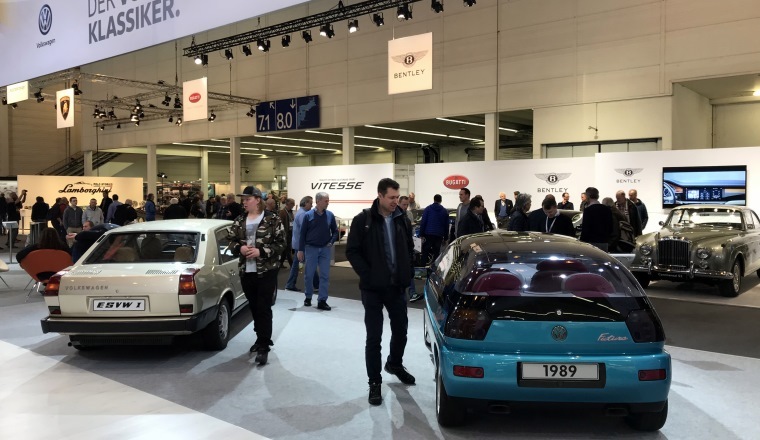 These included the big special exhibitions across brands "Cabriolet Milestones" and "WOB-007", one of the most successful shows of recent years. But once again the museum was also very active artistically, for example with Pop Art to mark the historic 24 Hours of Le Mans and with the current lifestyle project "Lookbook No3". In addition, there were evening and day events in the form of concerts, readings and a traffic education day for children. 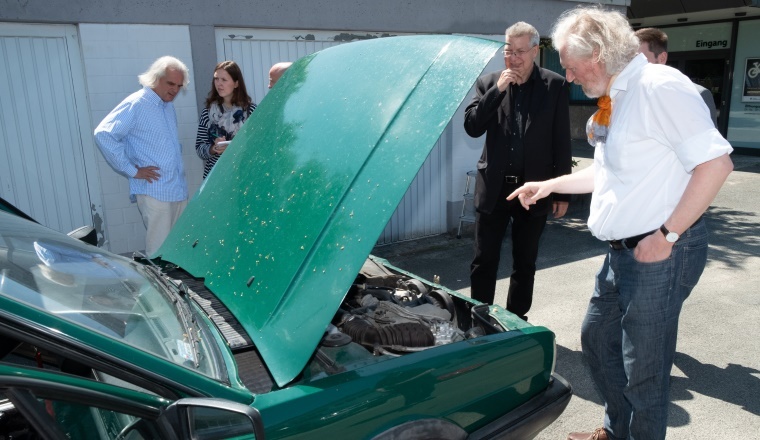 During the reception, attention was also drawn to the recently completed engine gallery – guest of honour Dr Carl Hahn was particularly impressed by this. These successes will be continued in 2018, artistically with an exhibition of photographs entitled "Women with Beetles". The Auto Museum is entering completely new territory with a bicycle exhibition. No more will be revealed at this point. 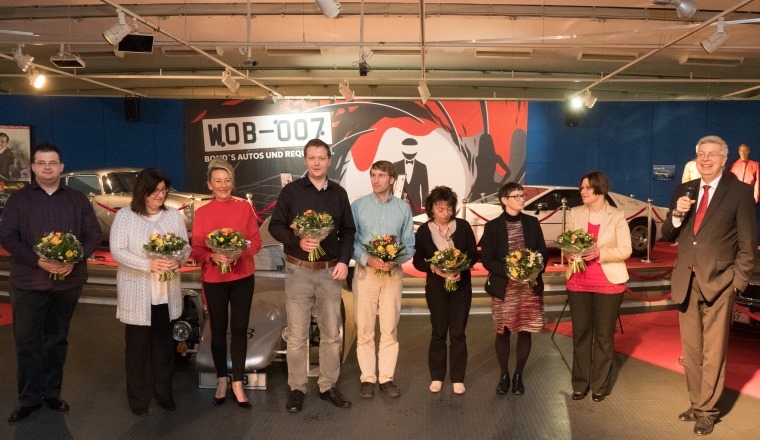 A special mention and special thanks from the Volkswagen AutoMuseum were given to Jannie Hübers, who presented the three self-built H2 and H3 roadsters in her possession to the museum at the end of last year. 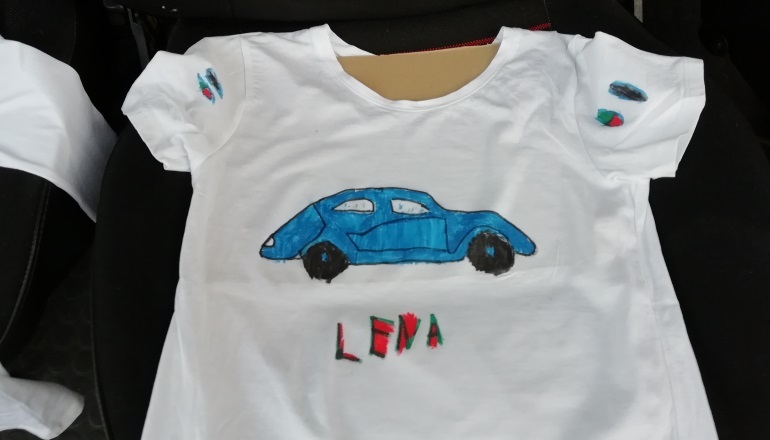 She proudly told the audience about the idea behind the cars and how Volkswagen parts were used in them. Last but not least Eberhard Kittler thanked his team for all their hard work. The evening at the museum came to an end with small talk among the guests. 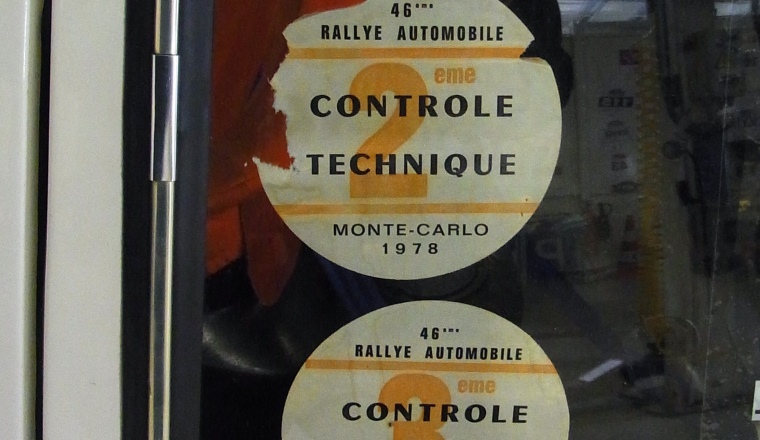 40 years ago: Golf 1 diesel successful in the Rally Monte Carlo. 9 January 2018. 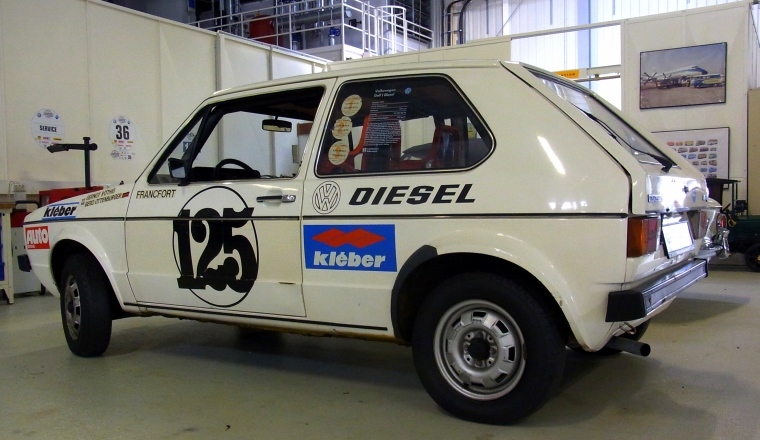 It’s more than four decades since a Golf 1 with a 50 PS naturally aspirated diesel engine piloted by employees of the magazine Auto Zeitung set numerous world records, to start with in 1977 during a 50,000 km endurance run on the Miramas racetrack in the south of France, followed by a complete circumnavigation of the USA by road. 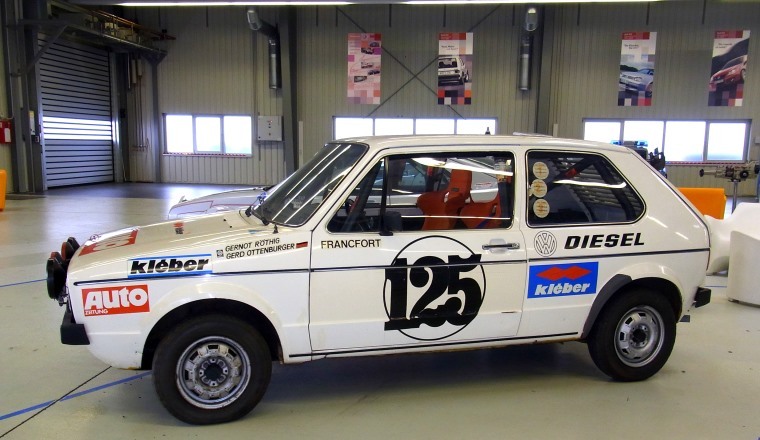 Auto Zeitung editor Gernot Röthig and his co-driver Gerd Ottenburger then went even further and took part in the Rally Monte Carlo from 21 to 28 January 1978 with precisely this car (starting number 125) – finishing 83rd as the final result. "Jochi" Kleint as the driver of a similar, more powerful zebra-look diesel Golf (starting number 49) caused even more of a stir with his interim 13th place in the overall standings, although unfortunately a defective cylinder head gasket ended the race prematurely for him. 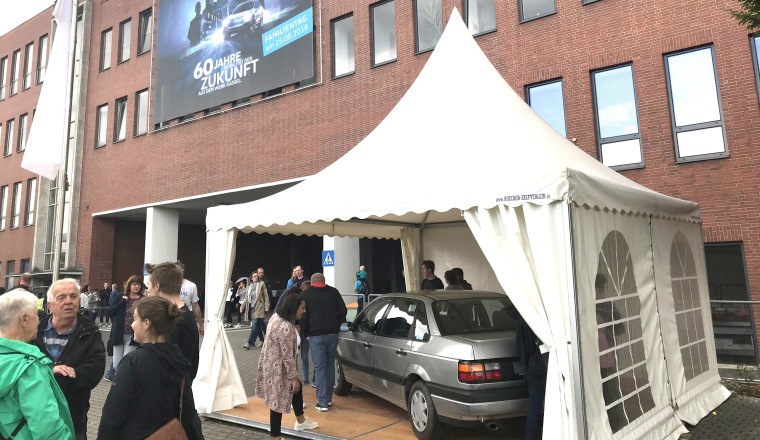 The vehicle driven so superbly by Auto Zeitung belongs to the collection of the Auto Museum and can now be seen in the exhibition again.